Posted on Thursday, July 17th, 2014 at 2:31 pm. 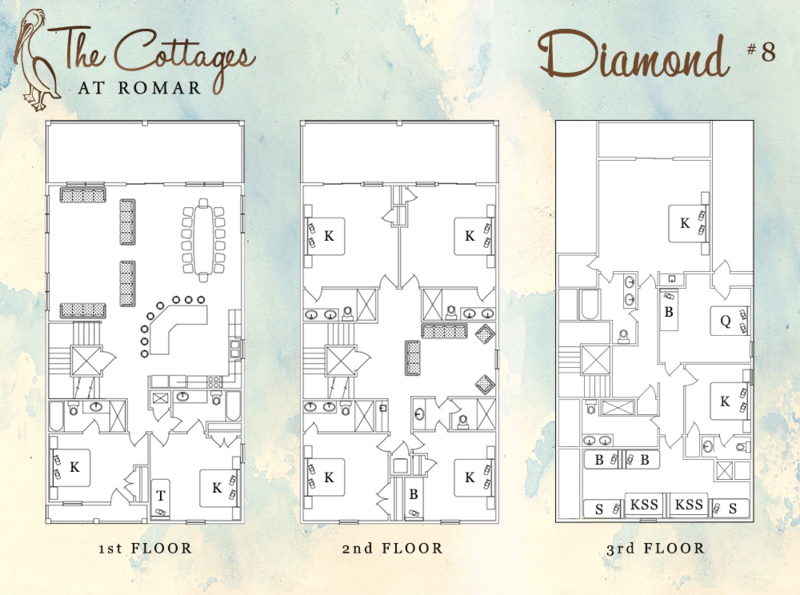 Diamond at the Cottages at Romar. 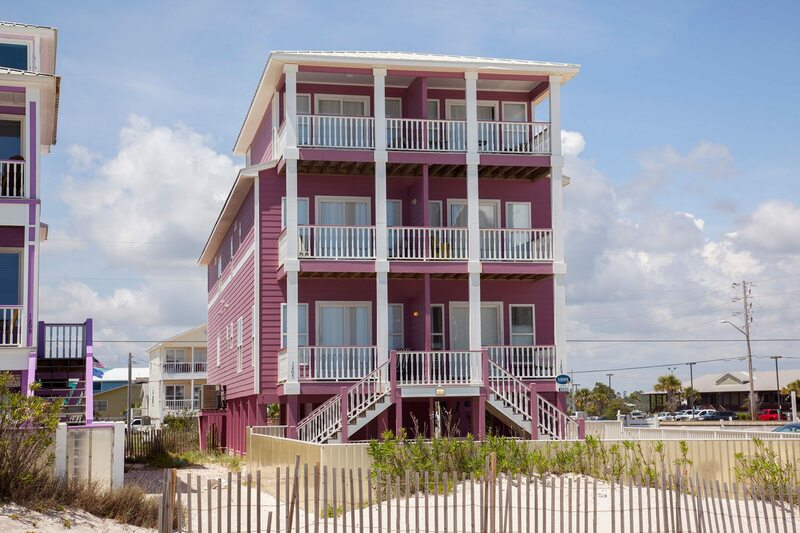 One of our three Jewels by the Sea! Diamond is a brand new 10 bedroom family-friendly luxury beach home located directly on the beach in an exclusive, gated community with zero-entry pools. 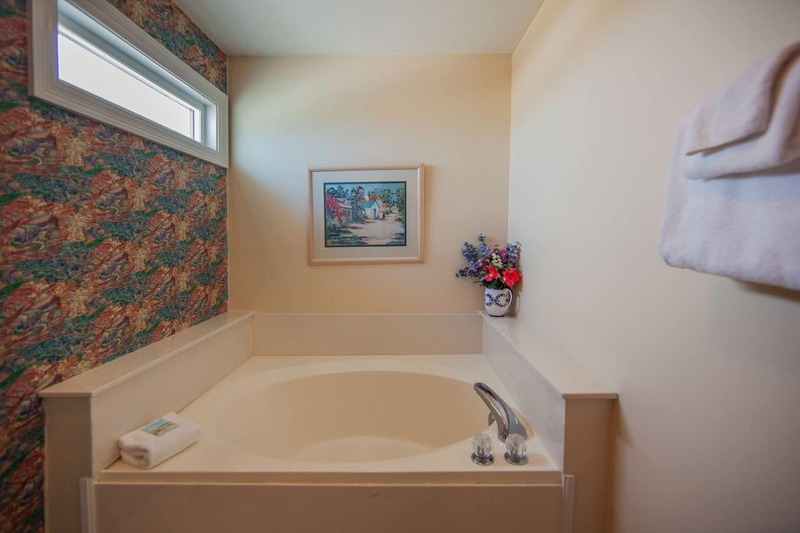 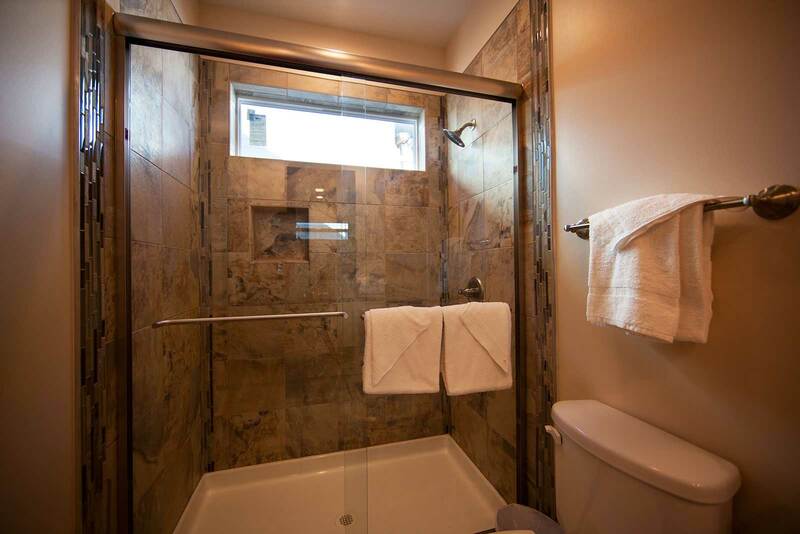 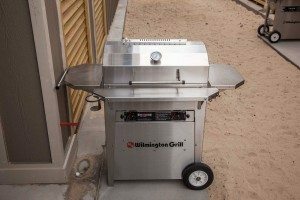 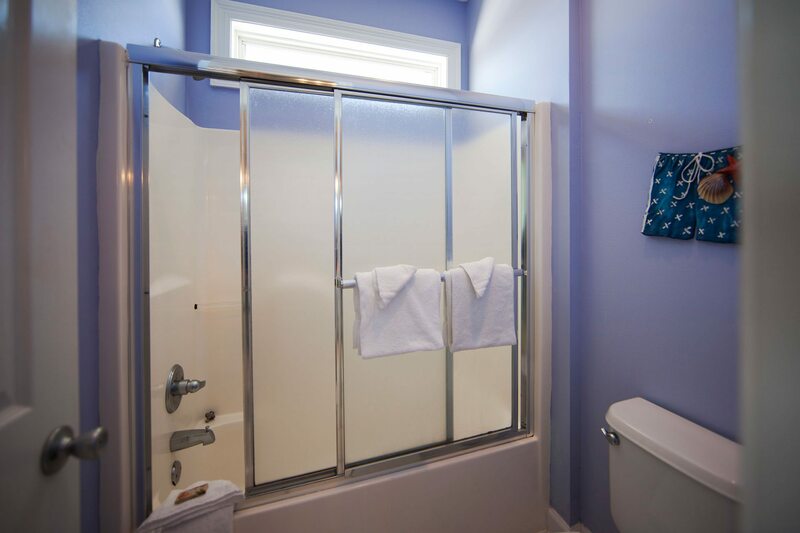 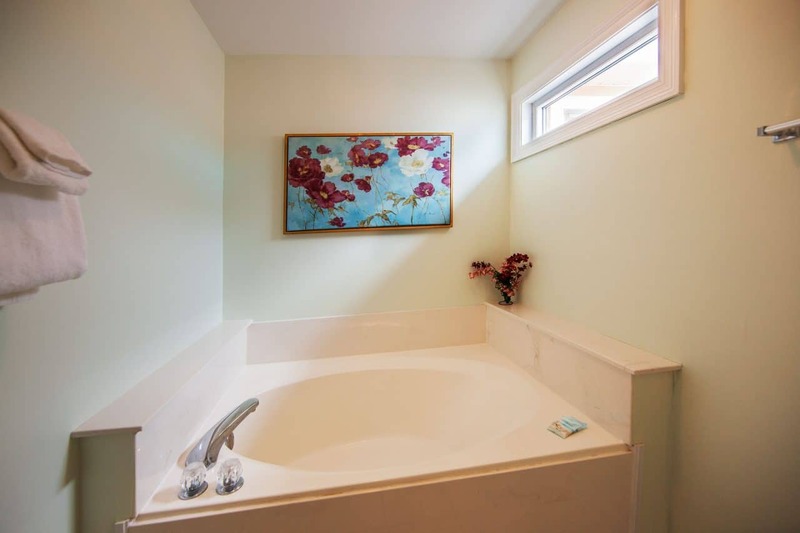 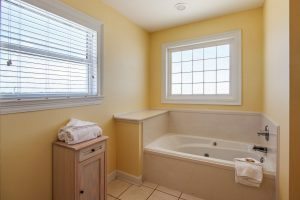 Handicapped accessible features. 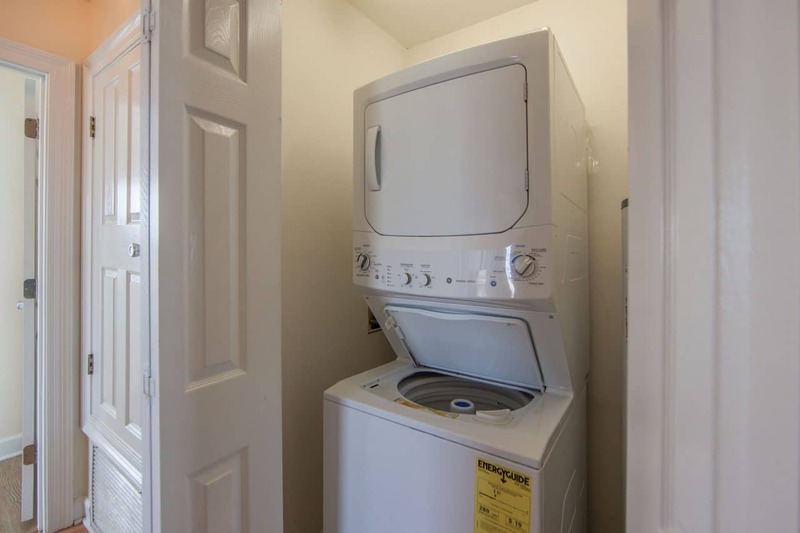 Elevators. Firepit. 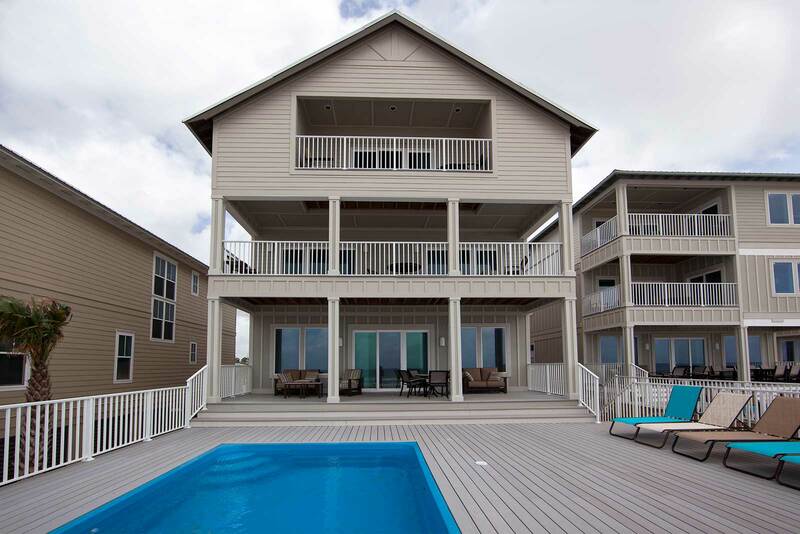 The perfect vacation home for large groups, or small ones that like lots of space! 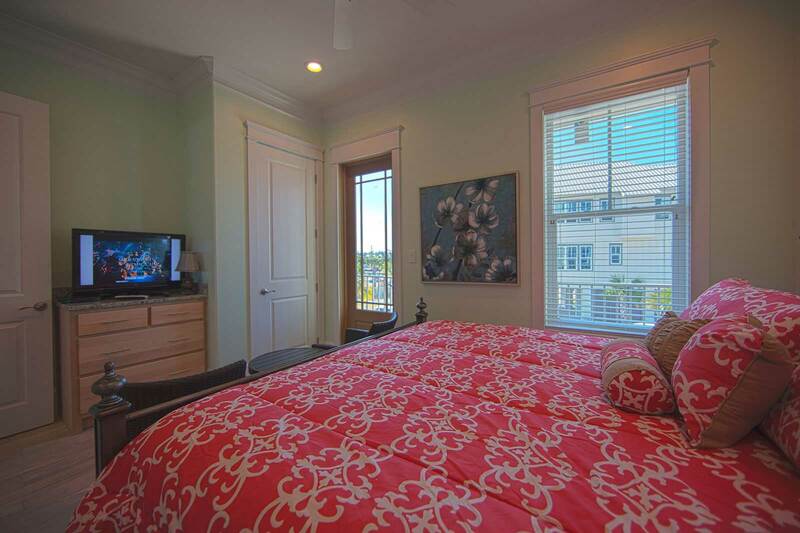 Diamond will very comfortably sleep 32. 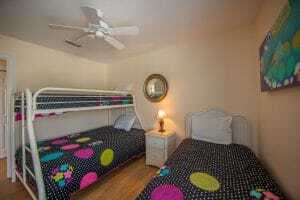 There are 8 king beds, 1 queen, 2 full beds, 2 twins, and 5 bunk beds (singles, sleeping 10). 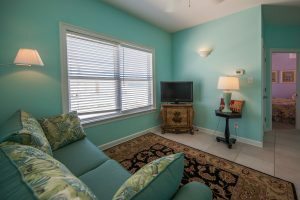 No sleeper sofas! Everyone gets a real bed! 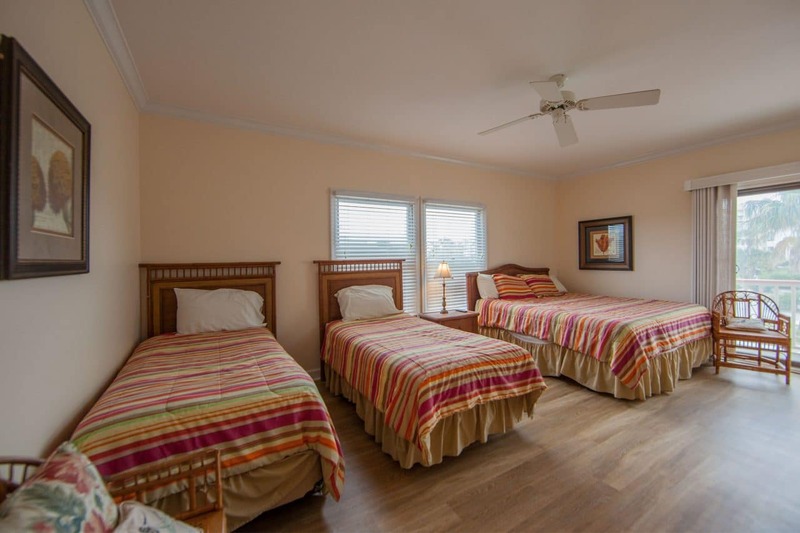 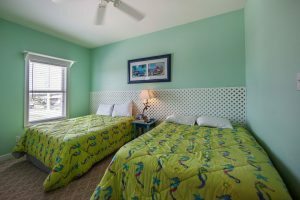 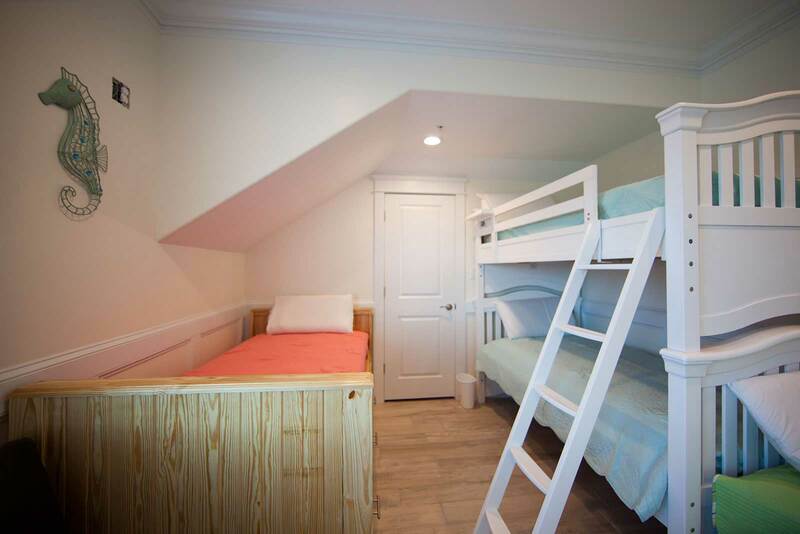 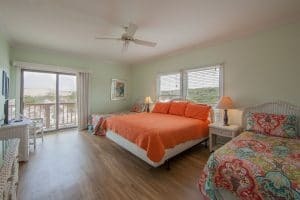 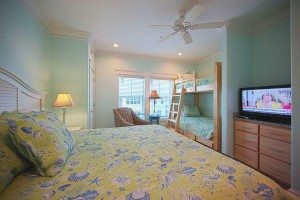 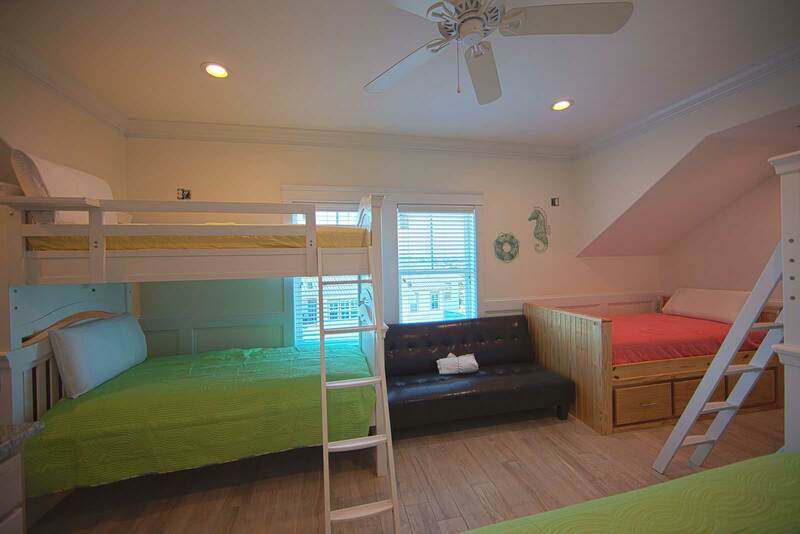 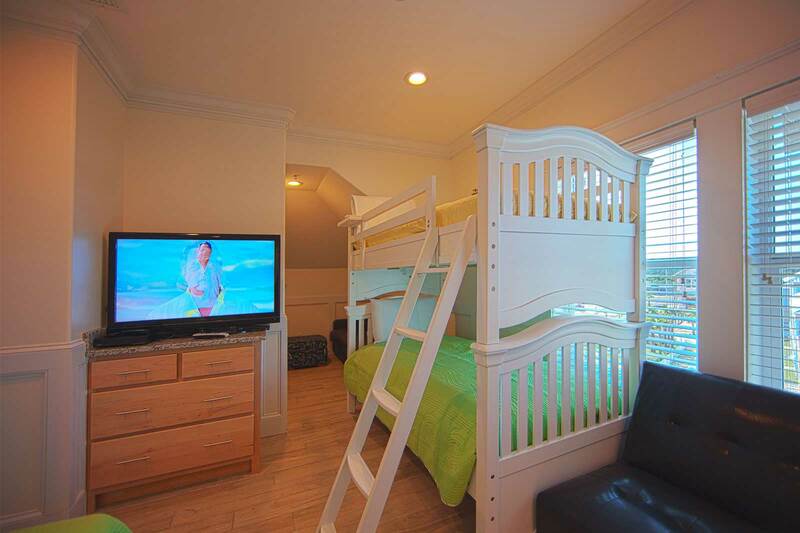 And, because this is a big family friendly place, several of these beds are in one room that’s perfect for either one big family or for most of the kids! 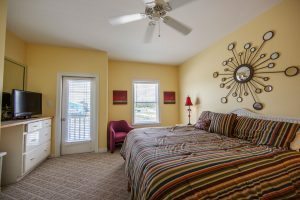 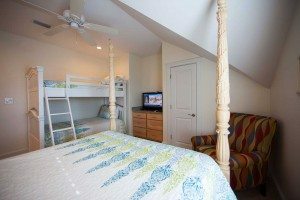 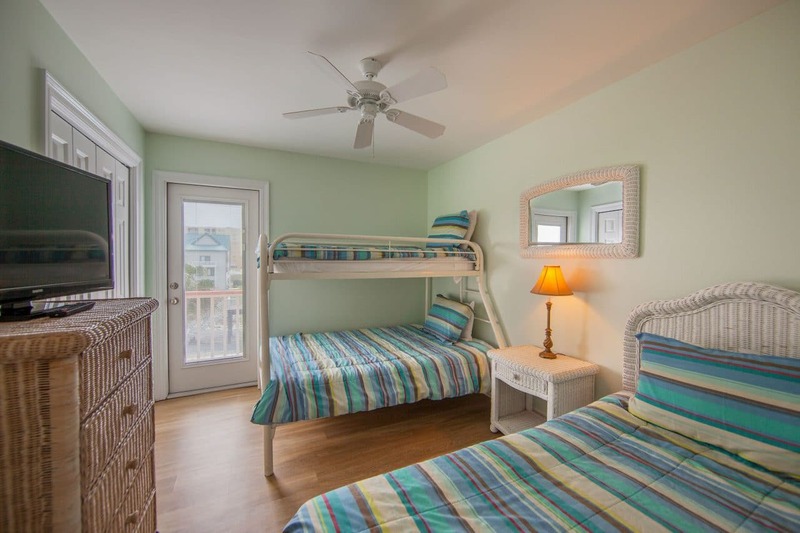 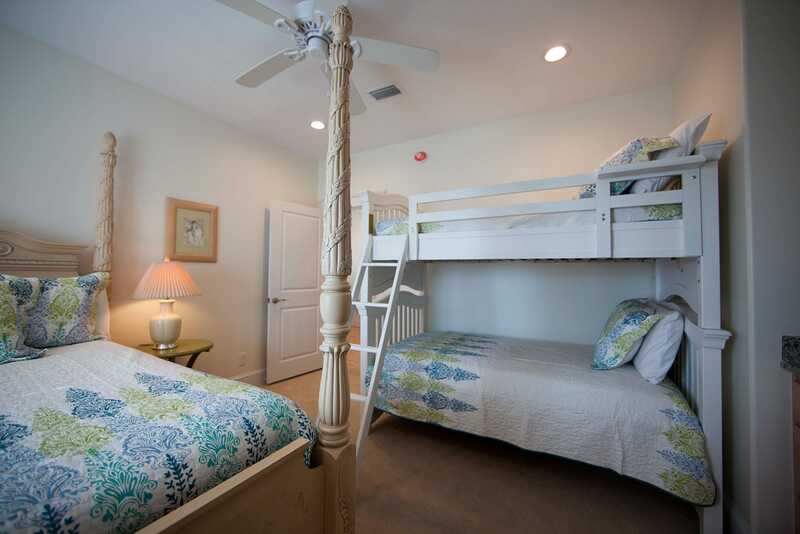 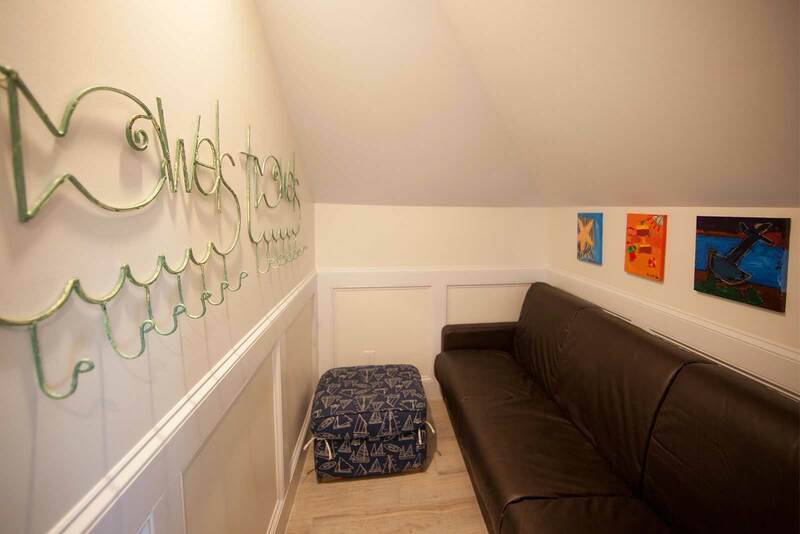 Nestled on the third floor, this large family room has two full beds, 2 single beds, and 2 single bunks, sleeping up to 10! 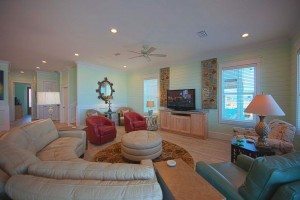 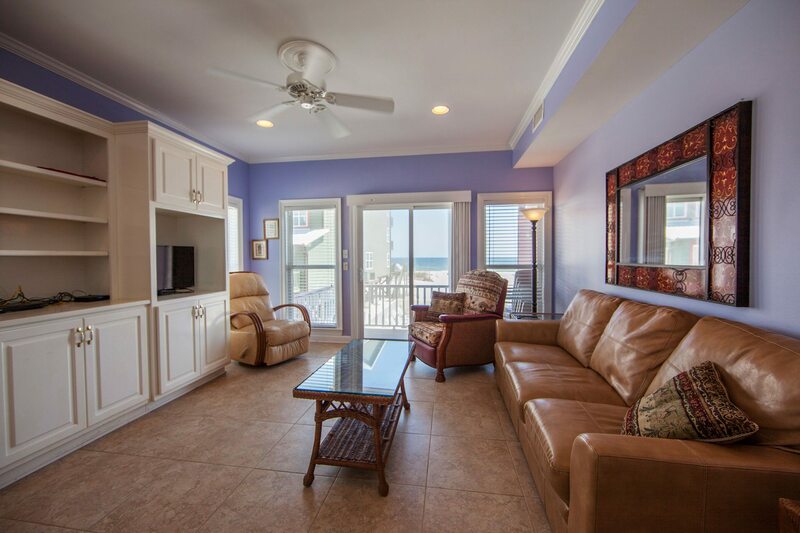 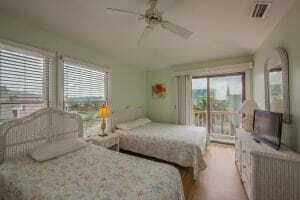 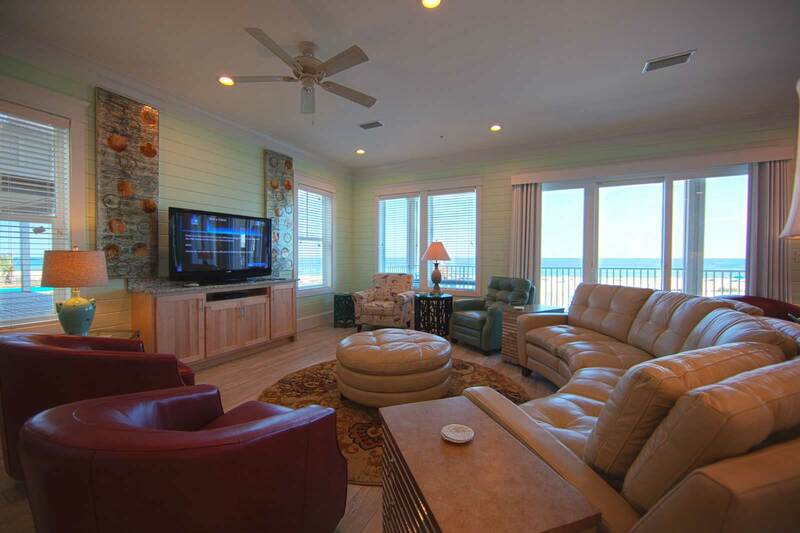 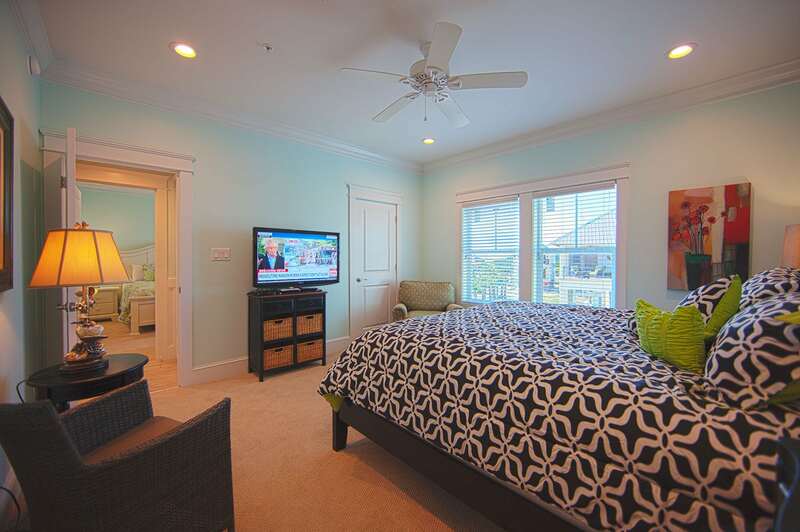 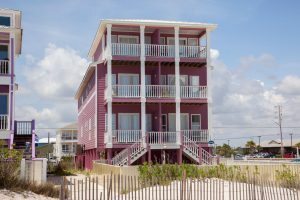 There is a beach side living room on the main floor, and another living room on the second floor. 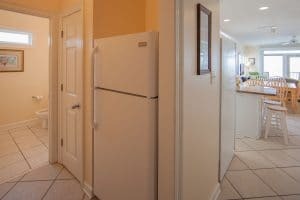 Need a beverage? 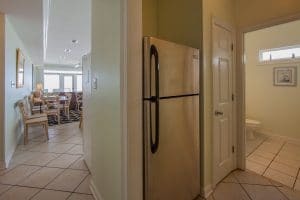 There are wet bars with mini-fridges and stand-alone ice-makers on the second and third floor so you can save yourself the trip down the stairs (or elevator!). 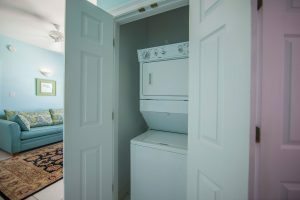 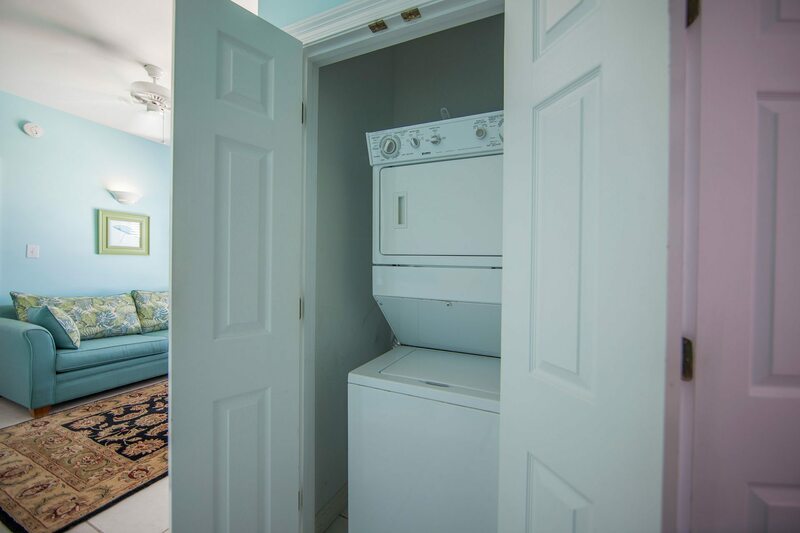 The second floor also has its own washer and dryer because when you are on vacation why would you want to carry your clothes up and down the stairs (or in the elevator) more than you absolutely have to!? 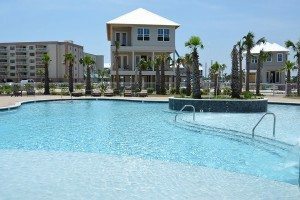 In addition to the community pool, Diamond at the Cottages at Romar also has its own private, elevated pool at living room level. 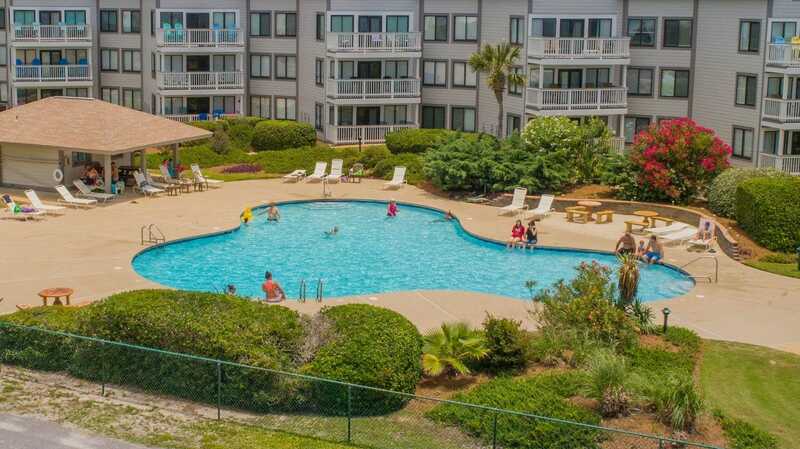 Sit in your living room, watch your kids play in the pool outside, how cool is that!? 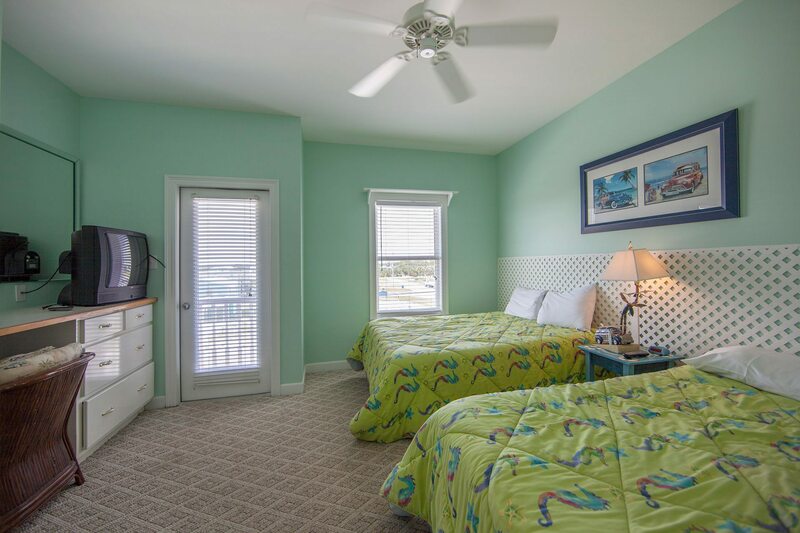 And if 10 bedrooms isn’t big enough for you and your crew, check our Emerald and Sapphire, these two homes each have a whopping twelve, yes 12, bedrooms! 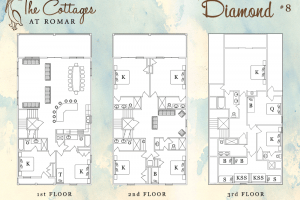 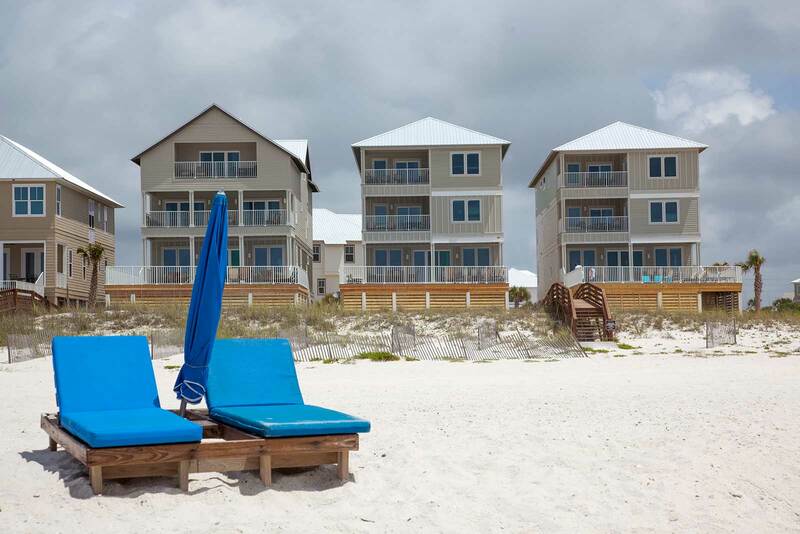 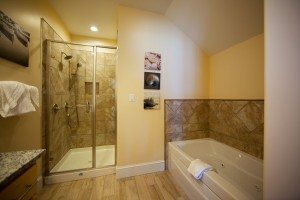 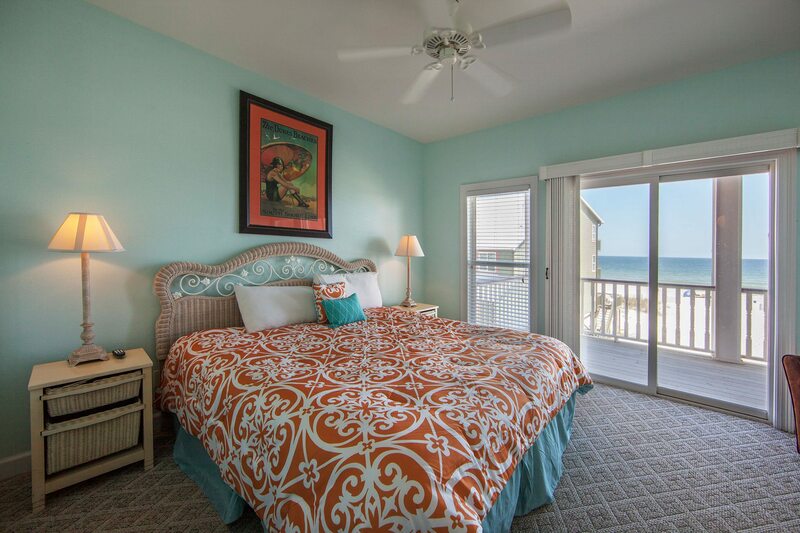 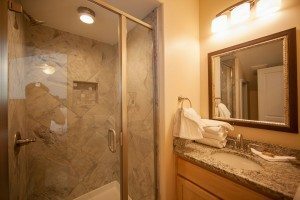 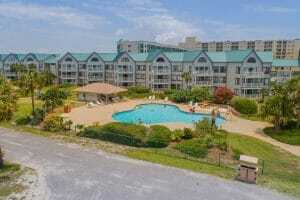 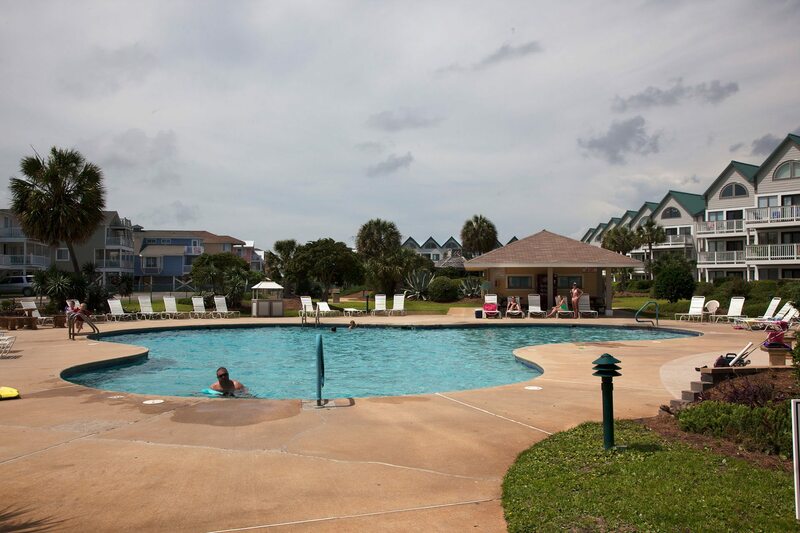 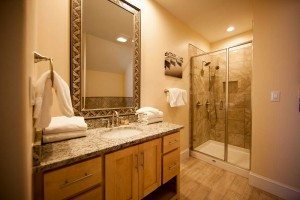 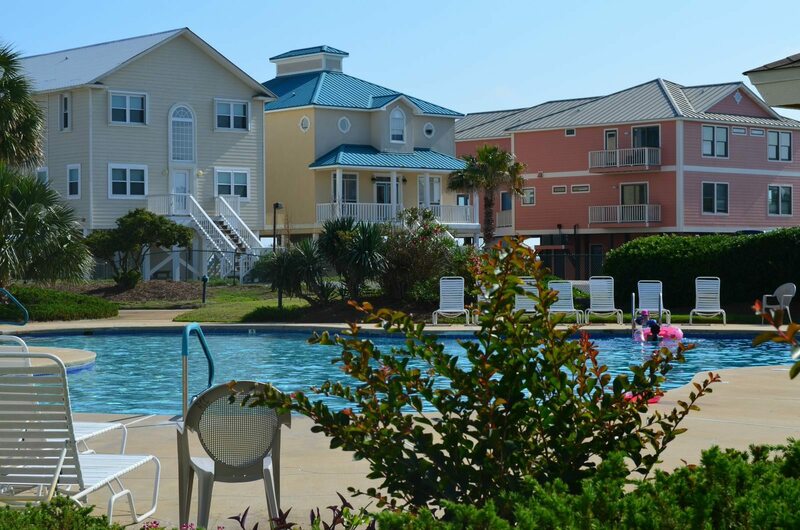 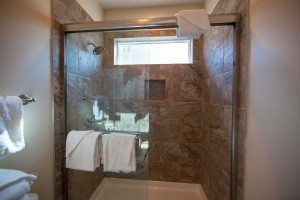 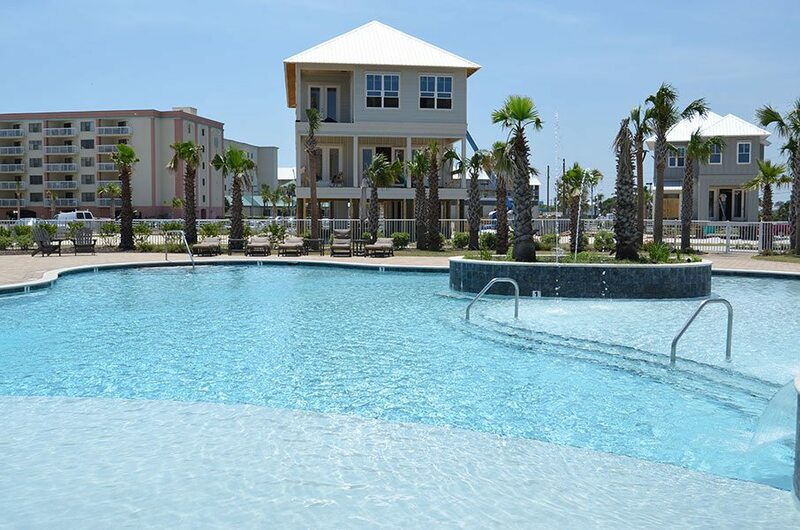 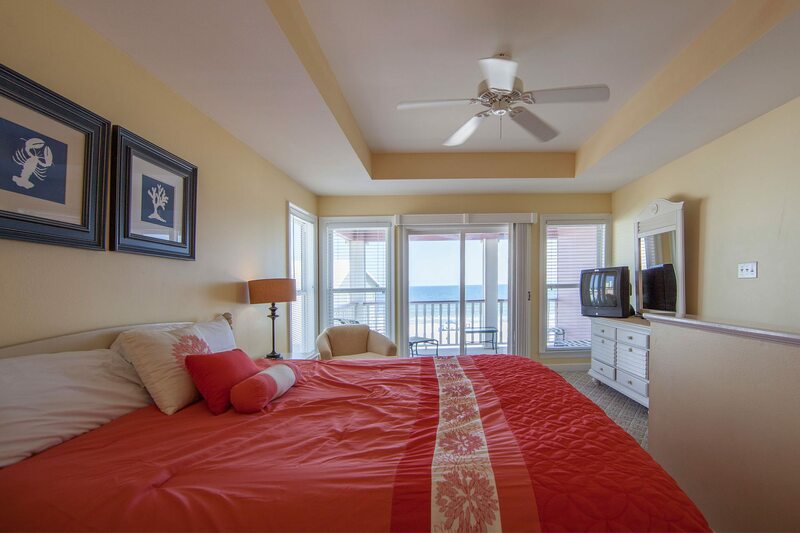 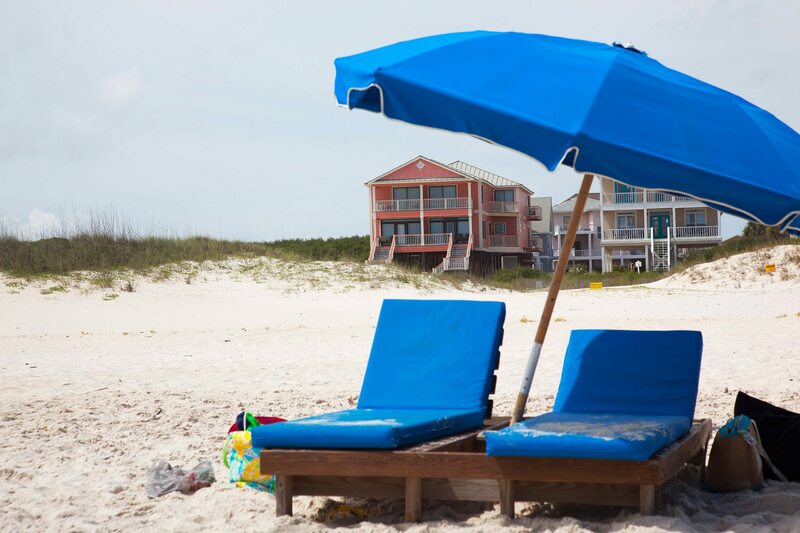 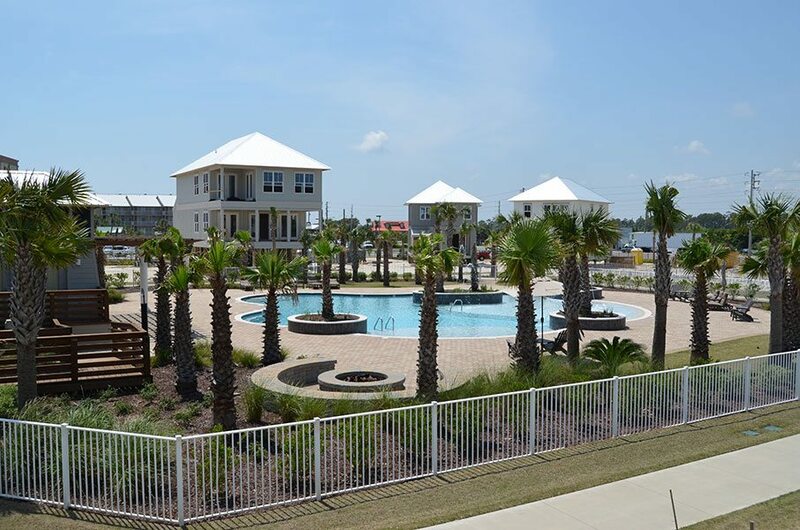 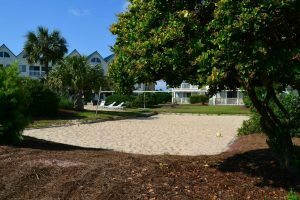 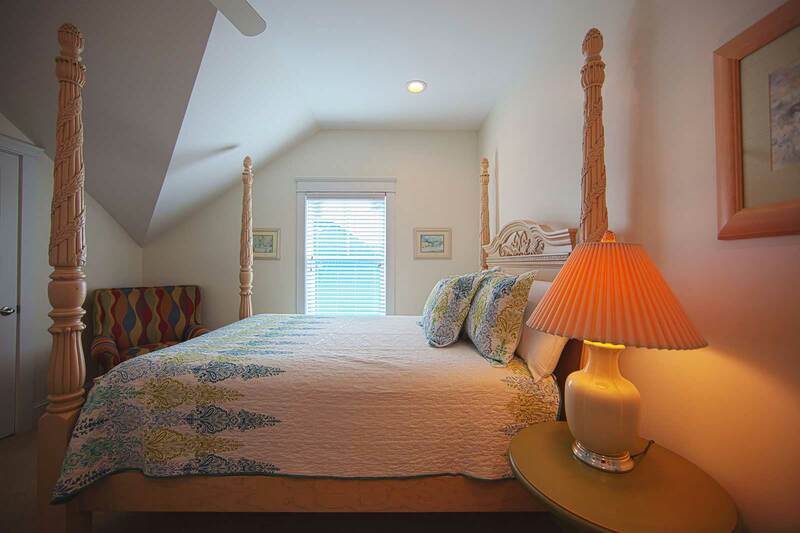 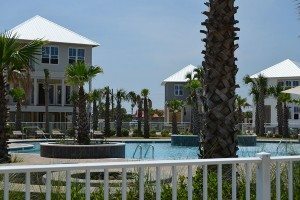 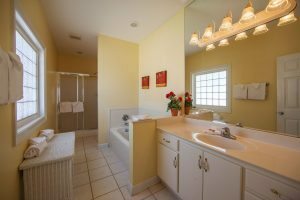 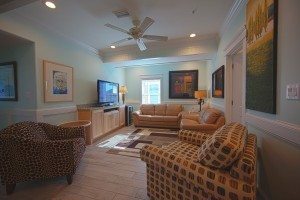 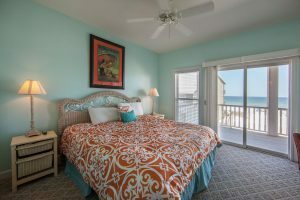 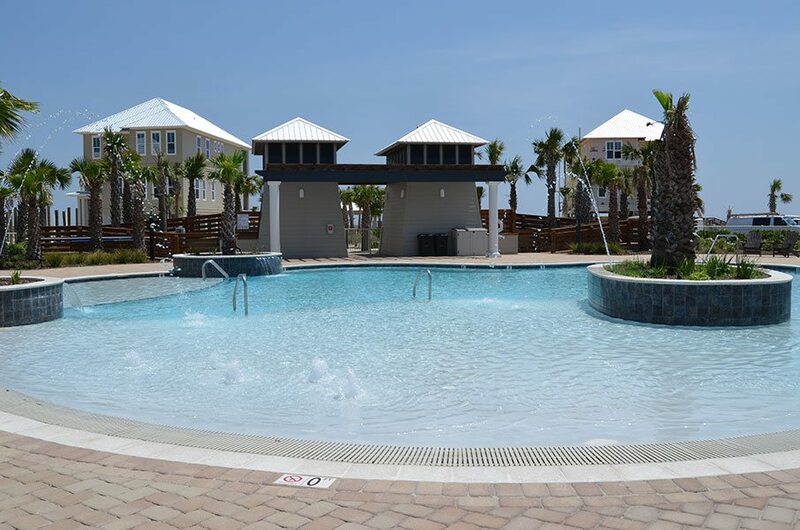 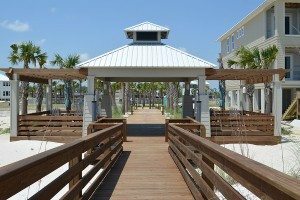 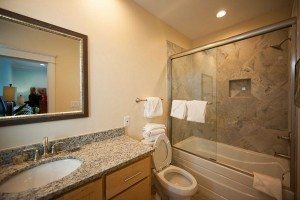 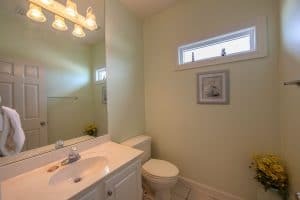 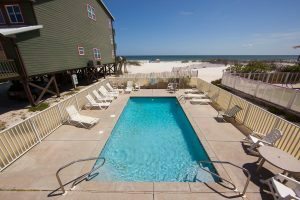 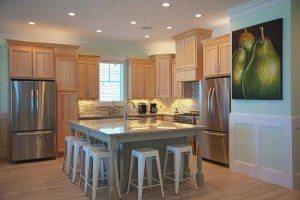 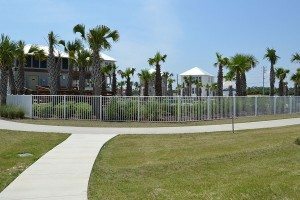 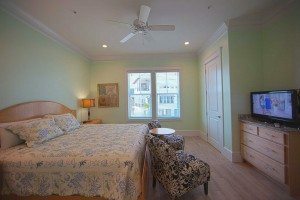 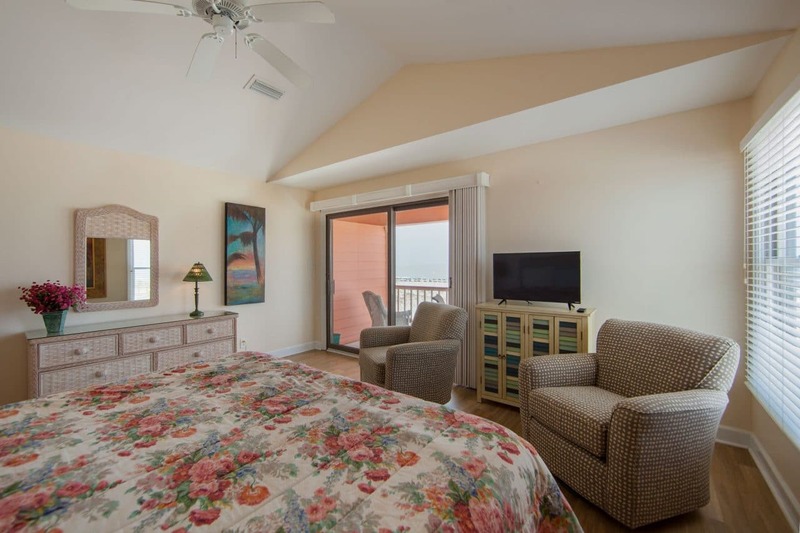 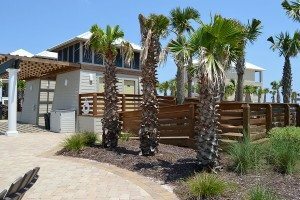 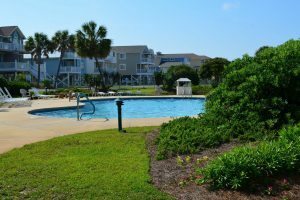 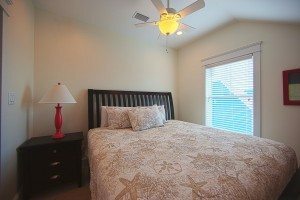 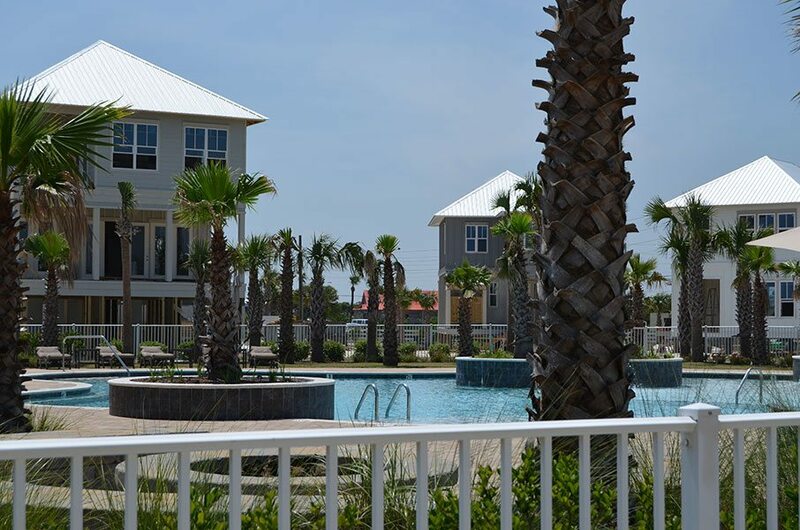 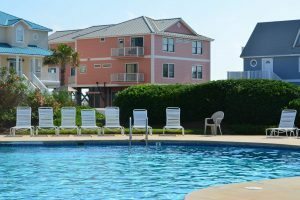 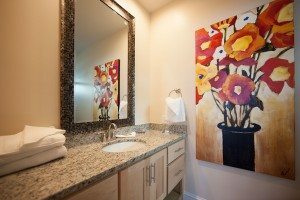 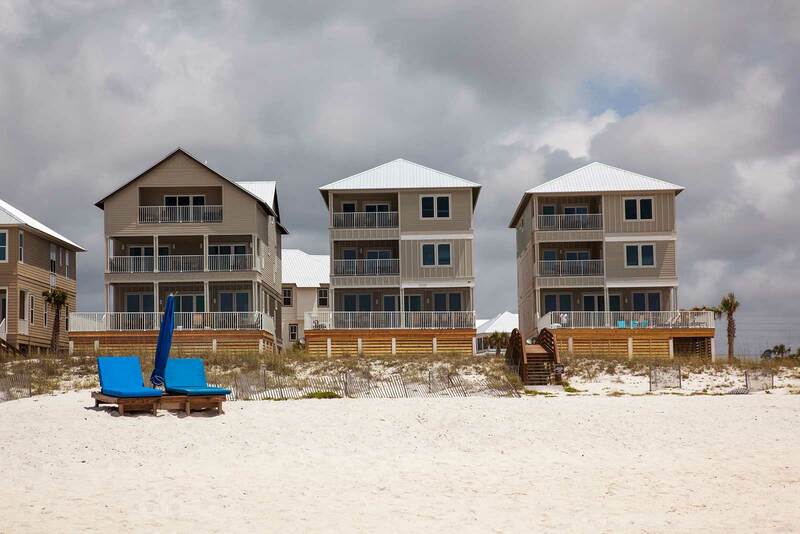 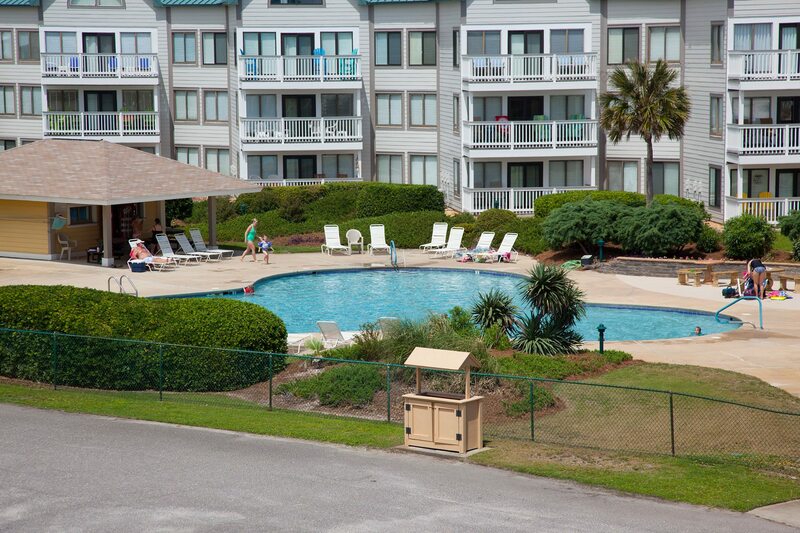 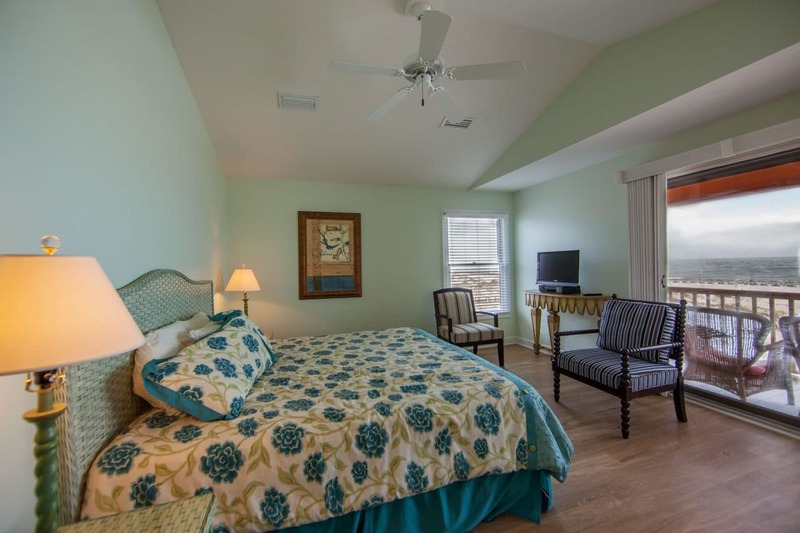 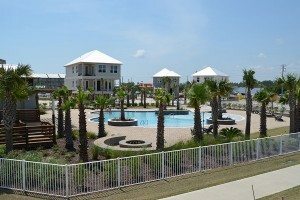 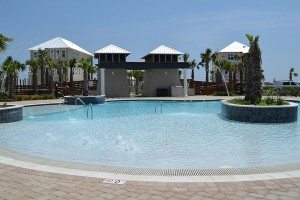 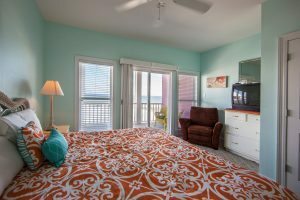 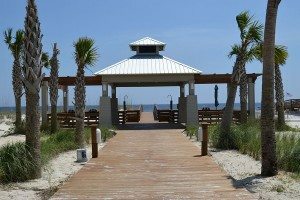 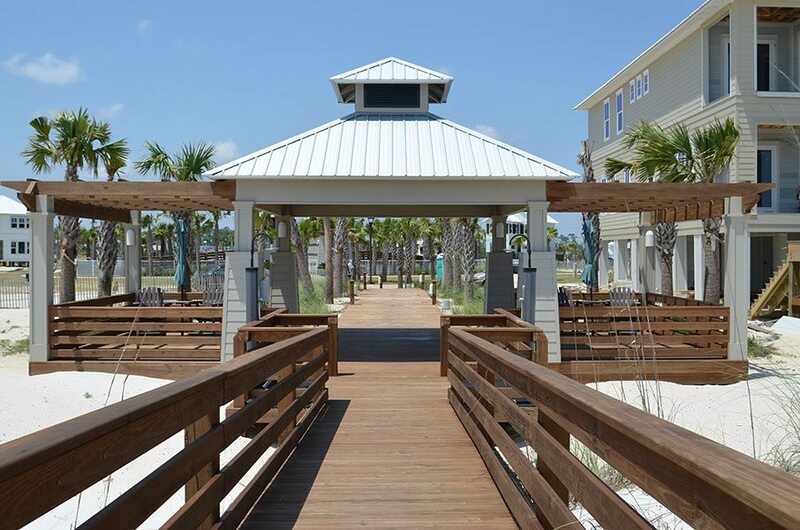 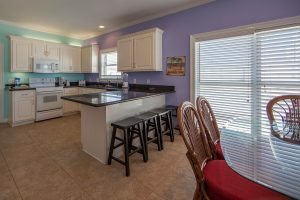 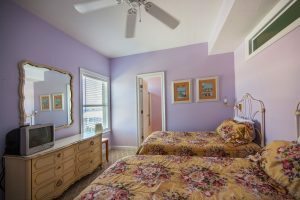 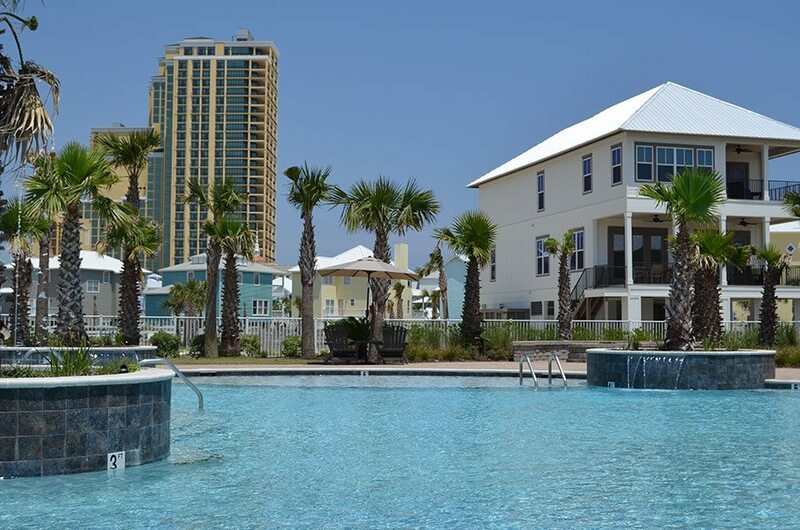 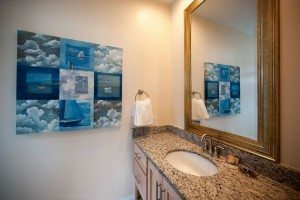 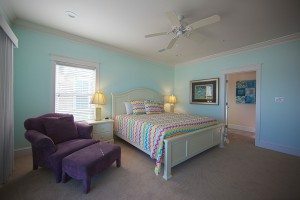 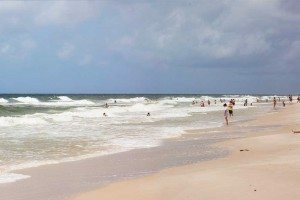 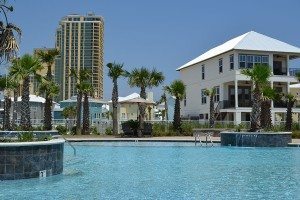 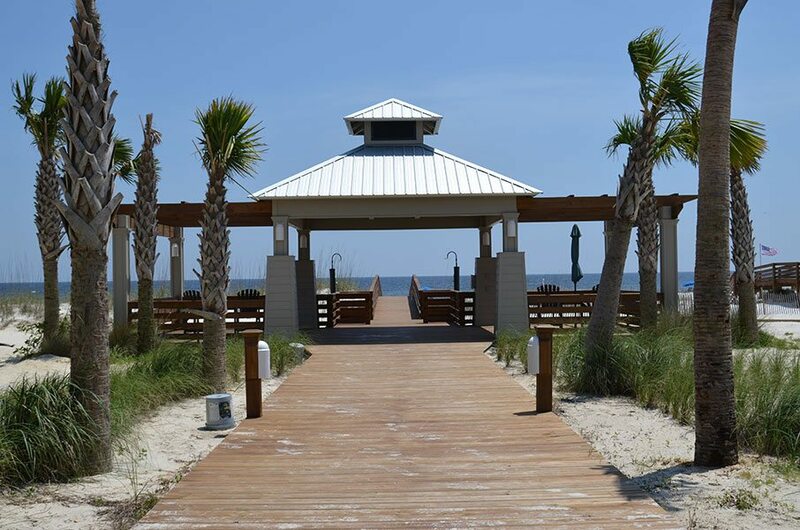 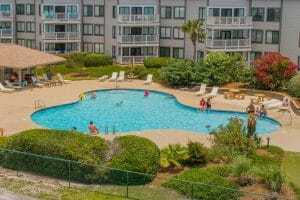 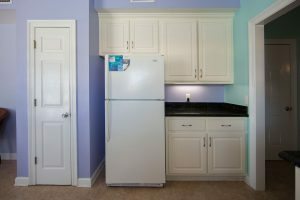 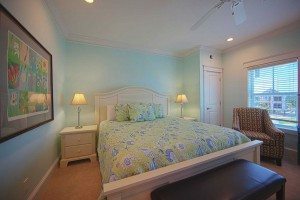 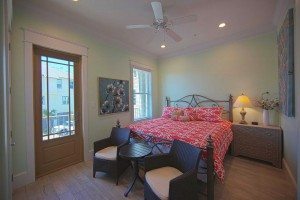 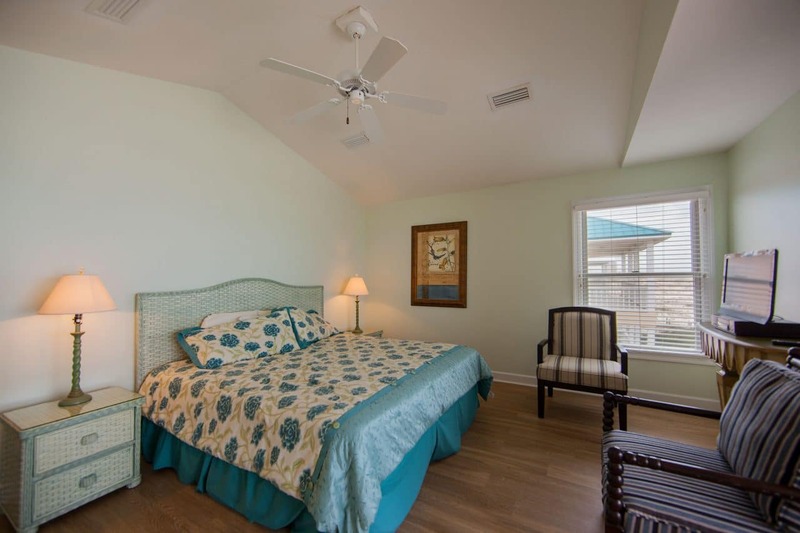 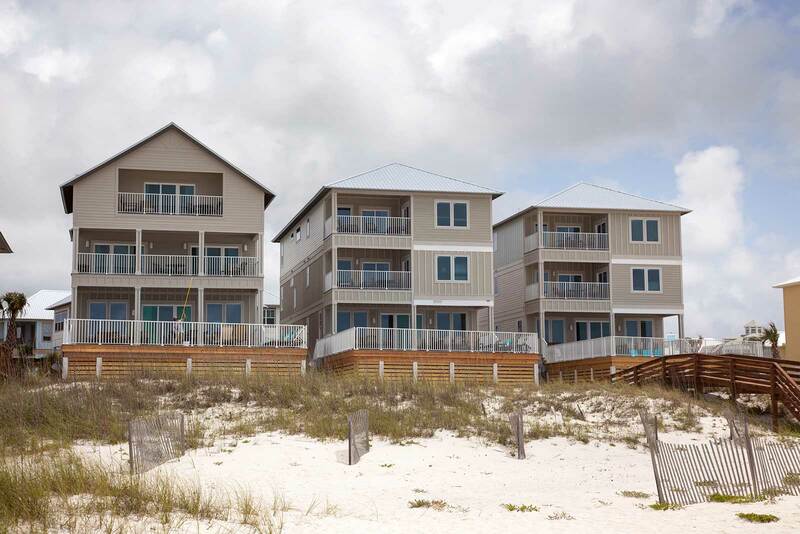 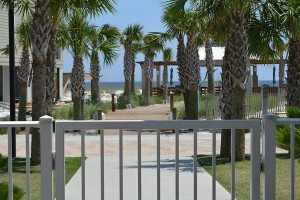 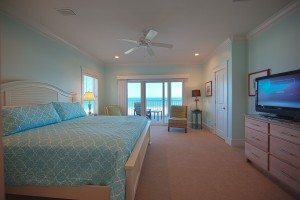 You’ll love staying at the Diamond at the Cottages at Romar. 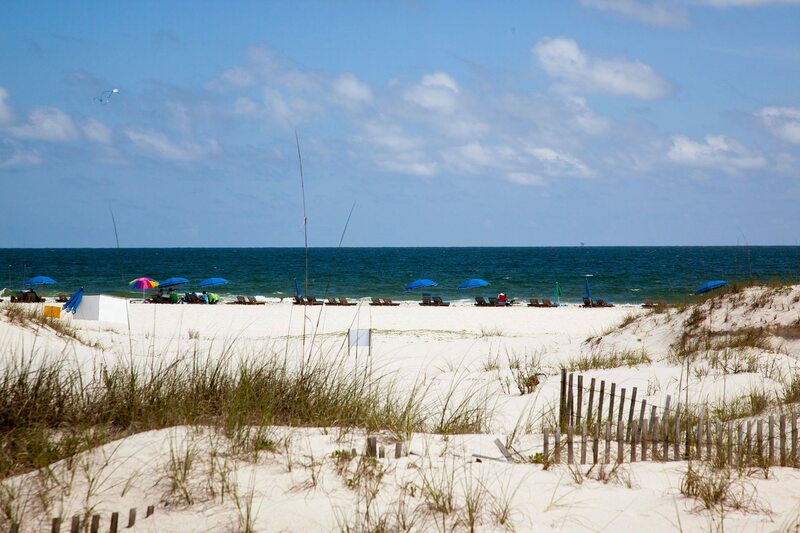 You’ll wish you never had to go home. 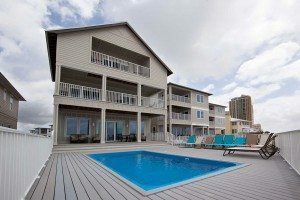 If you don’t book early, you might drive by Diamond and wish it were you, and not some other group, staying in such a nice vacation home! 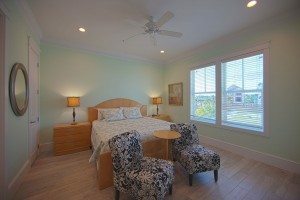 Posted on Thursday, August 25th, 2011 at 7:39 am. 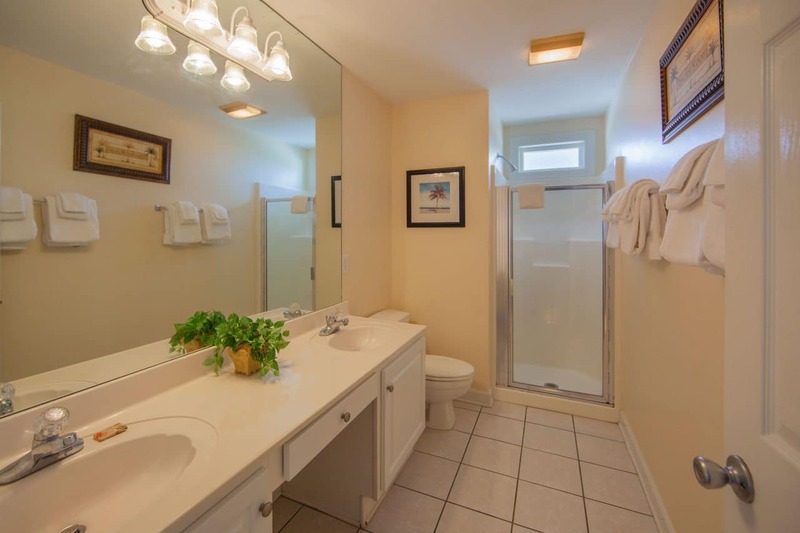 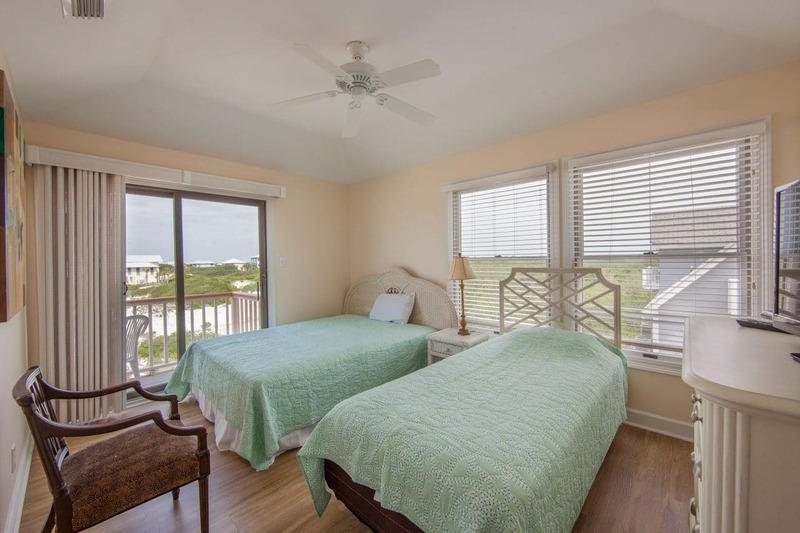 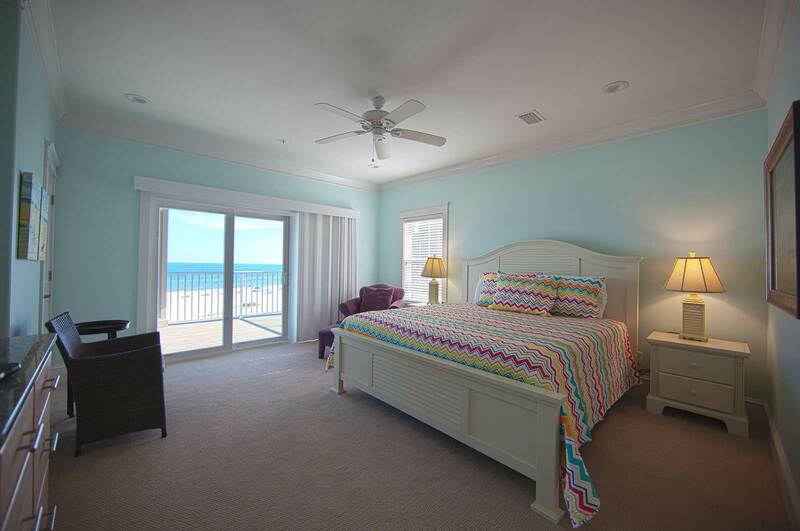 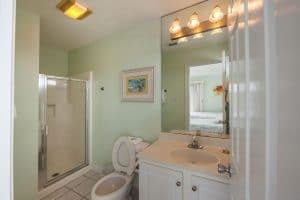 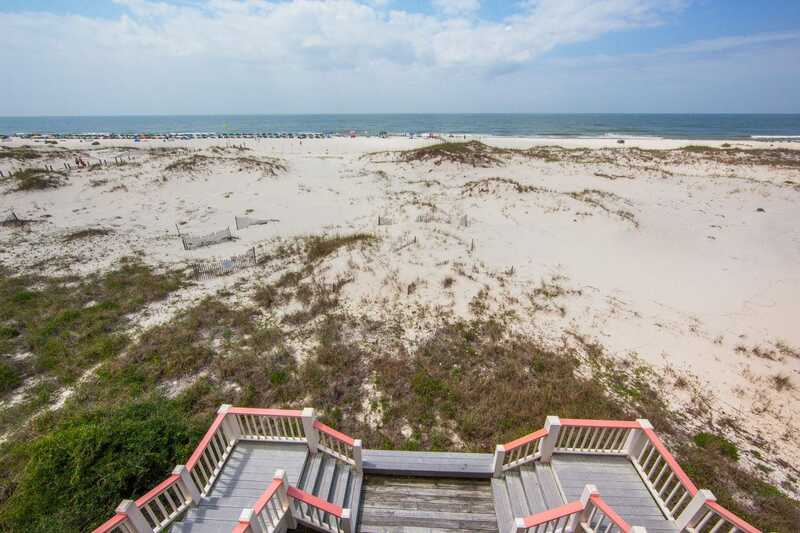 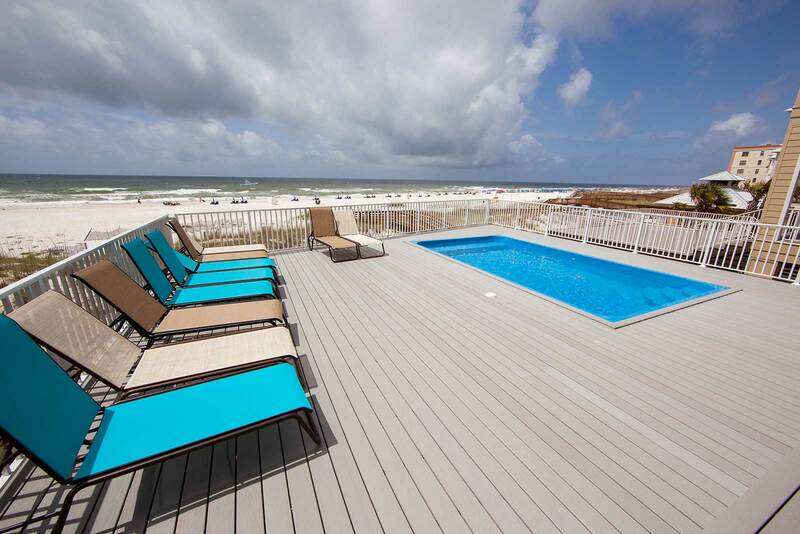 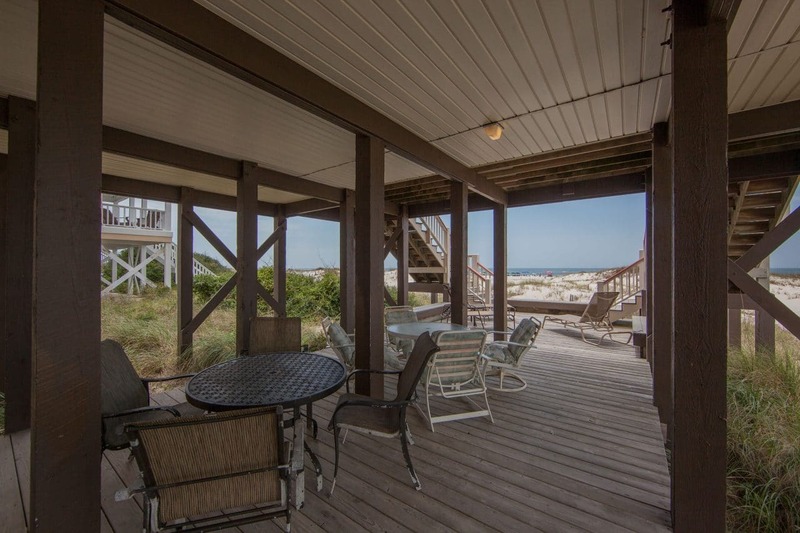 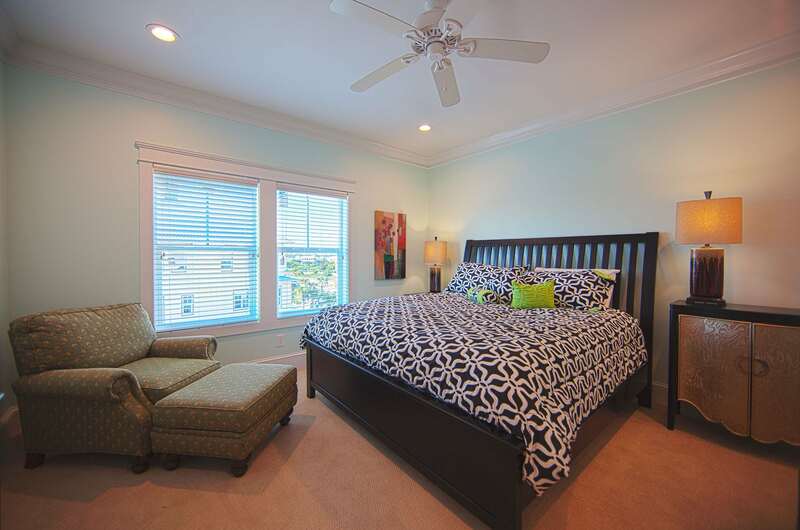 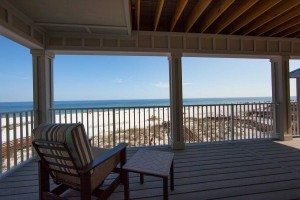 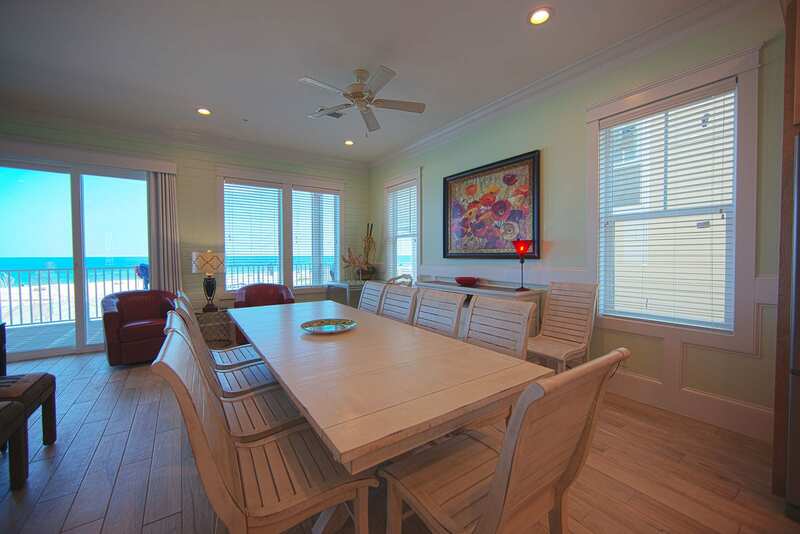 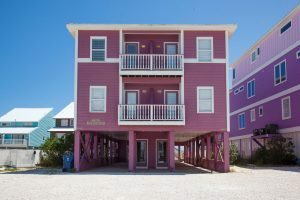 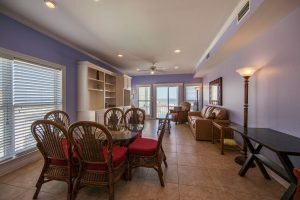 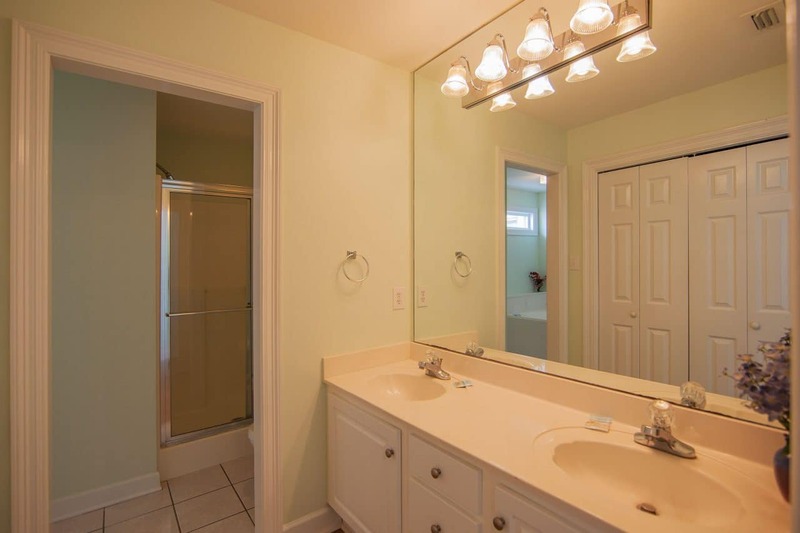 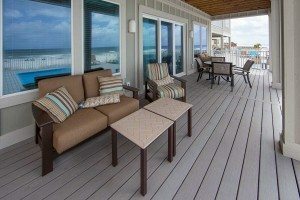 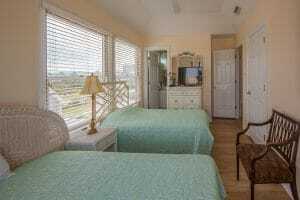 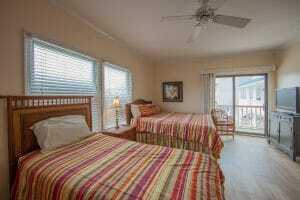 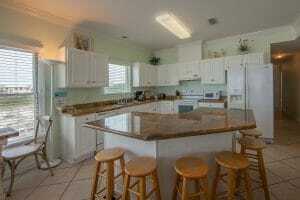 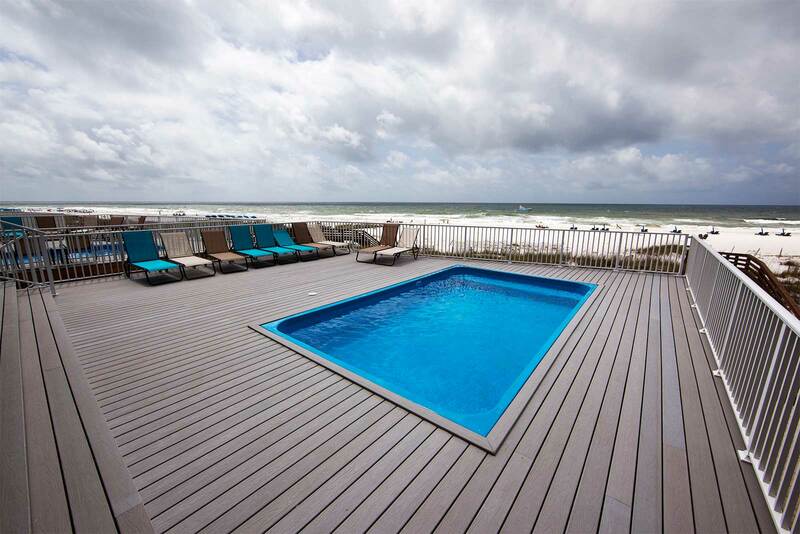 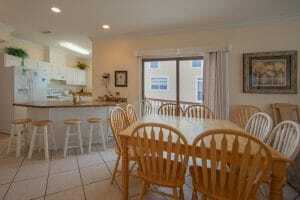 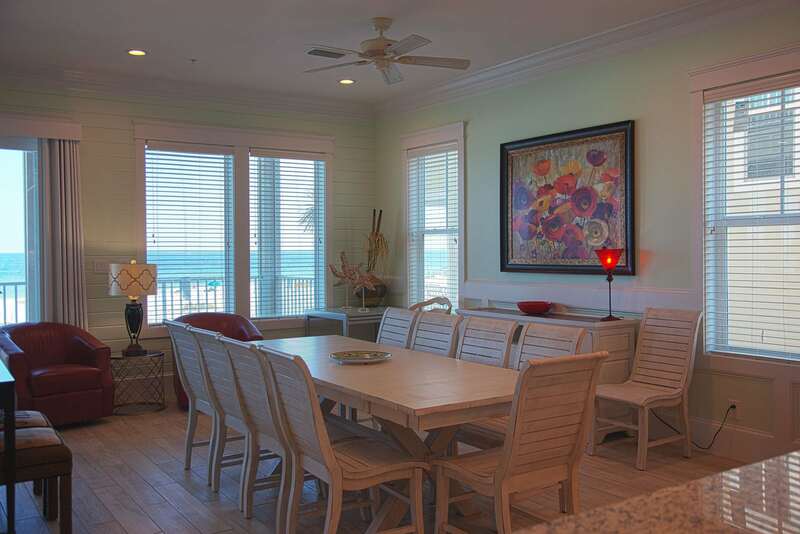 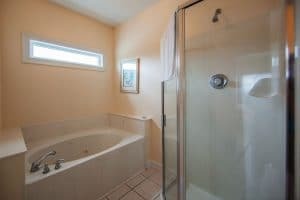 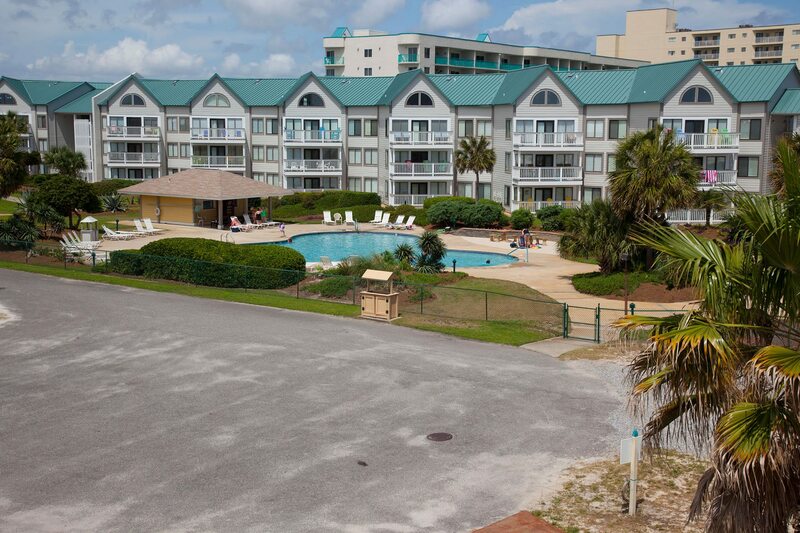 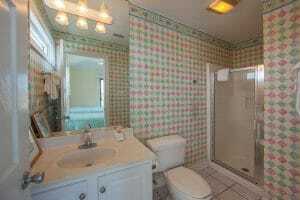 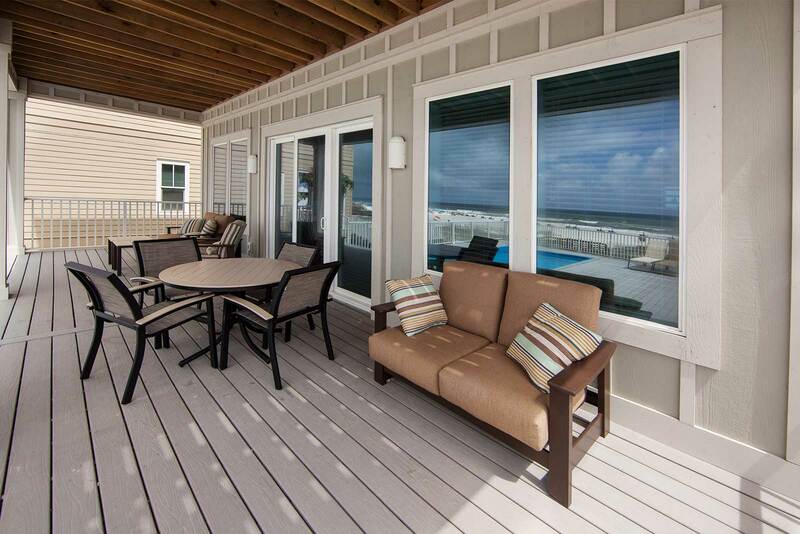 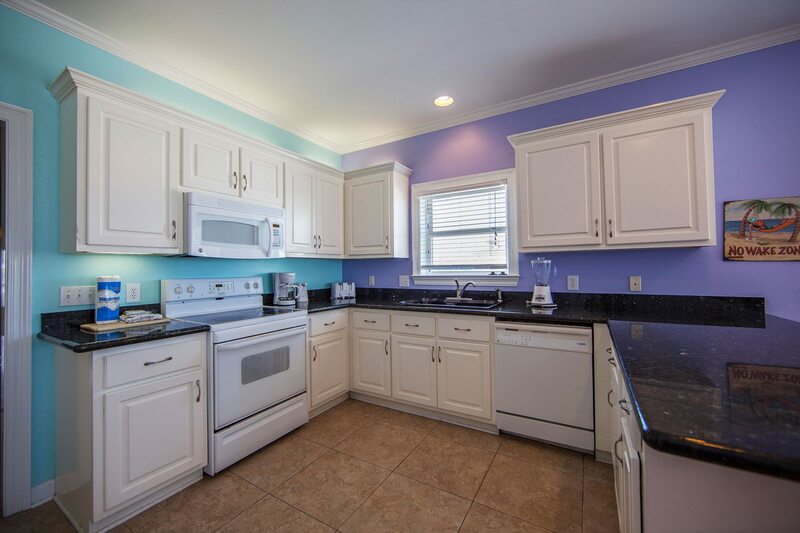 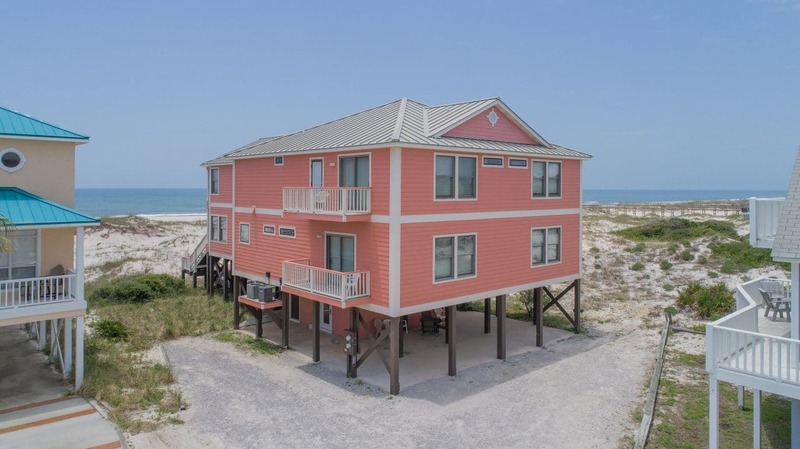 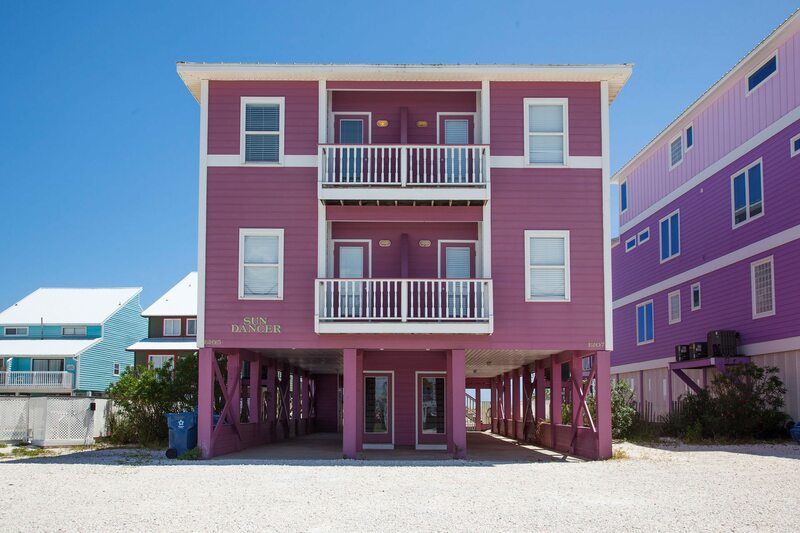 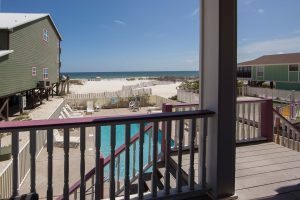 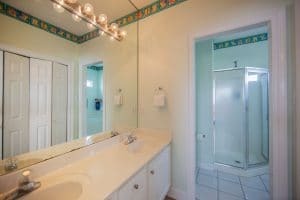 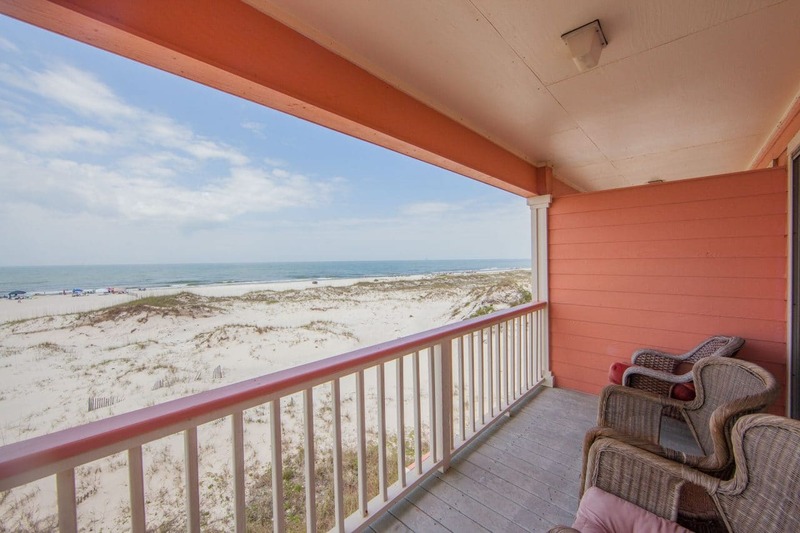 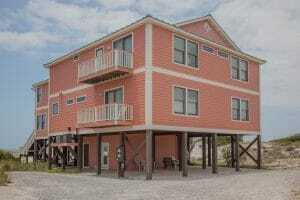 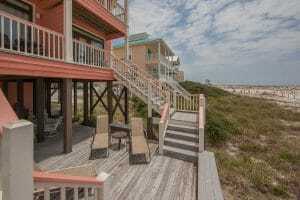 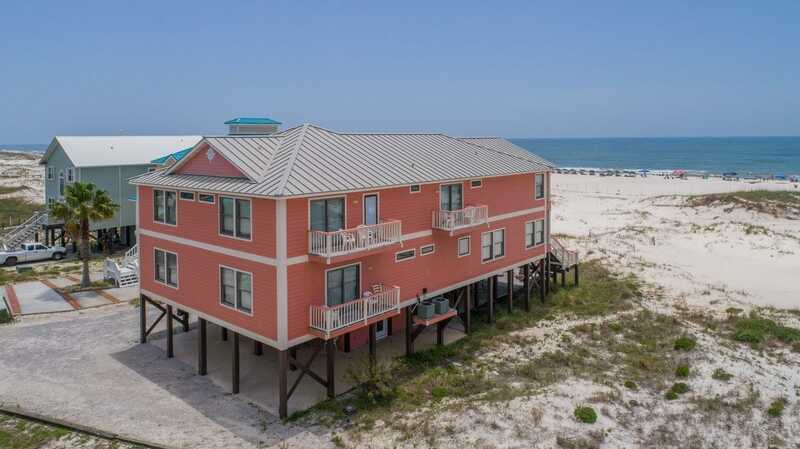 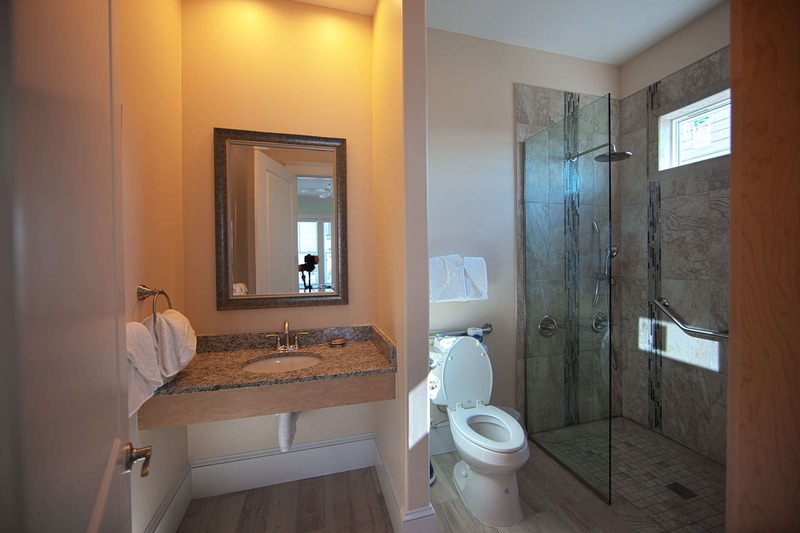 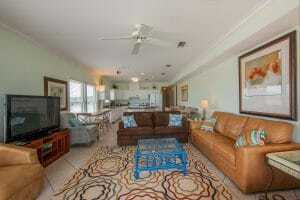 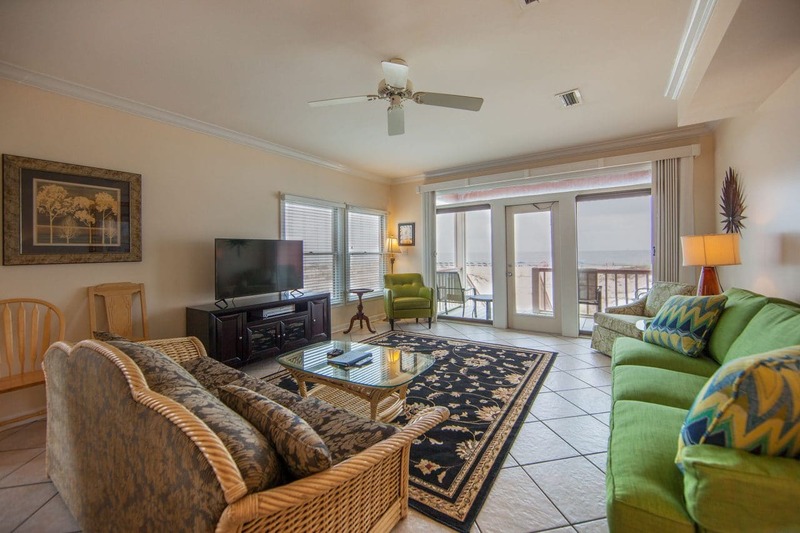 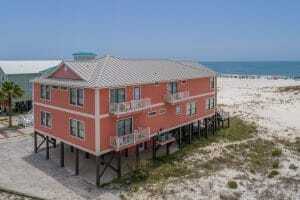 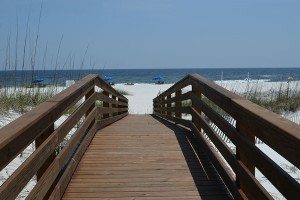 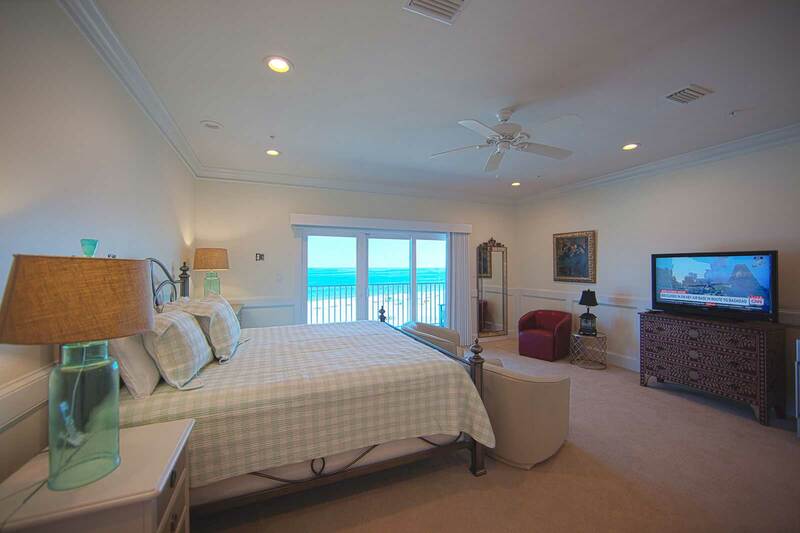 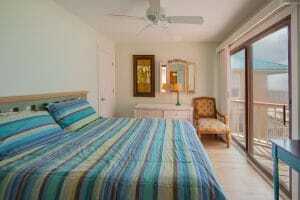 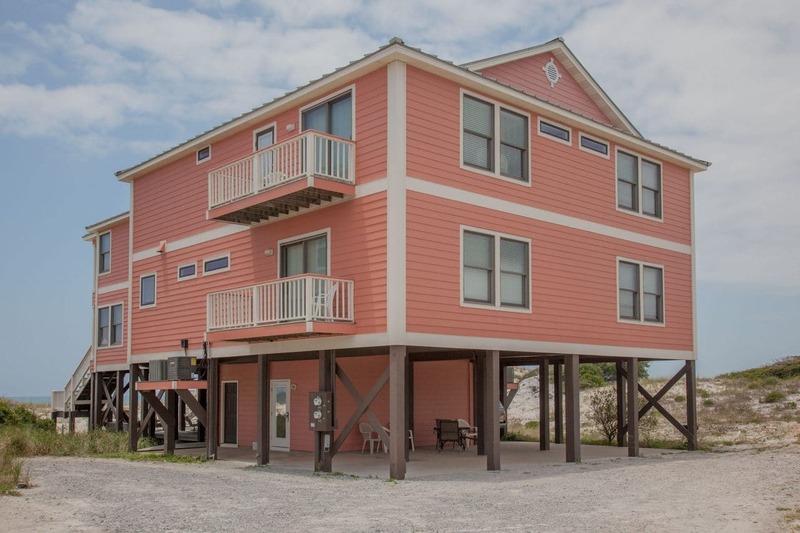 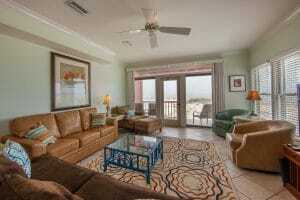 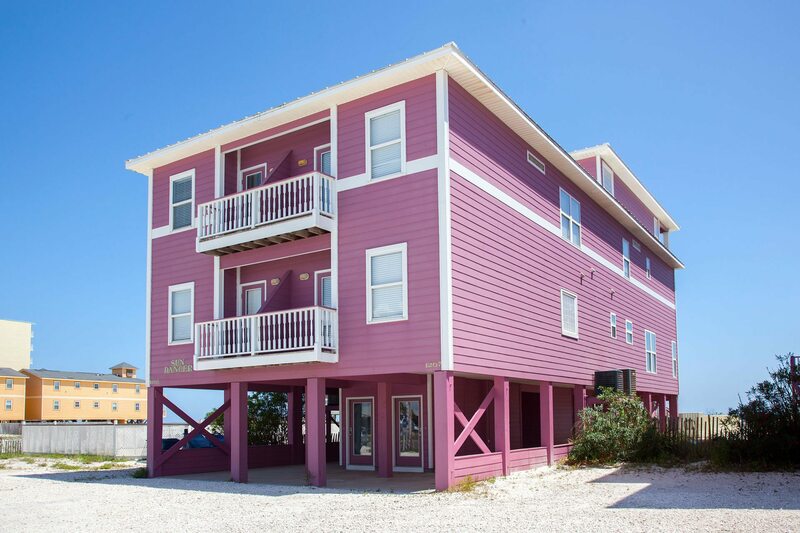 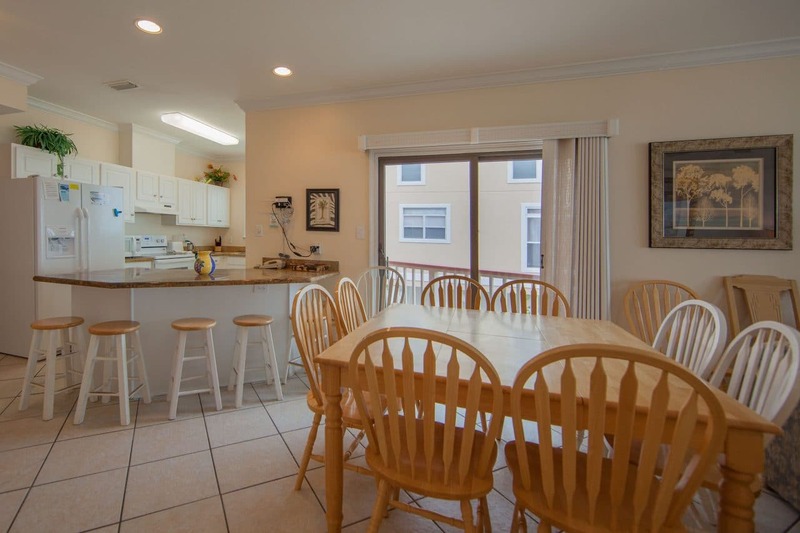 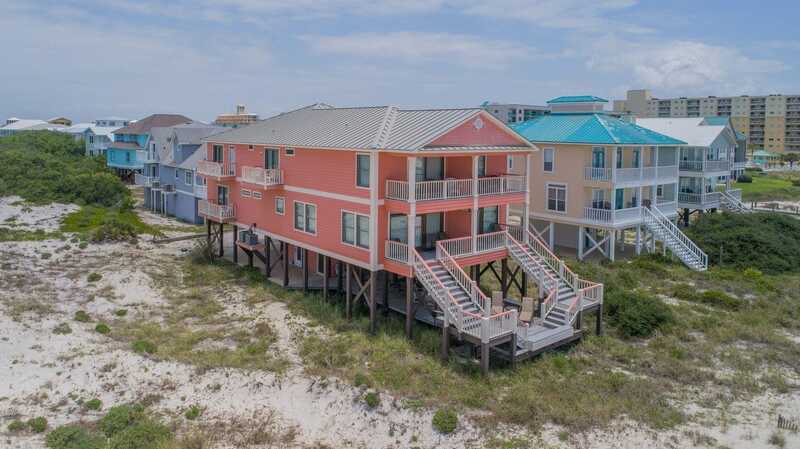 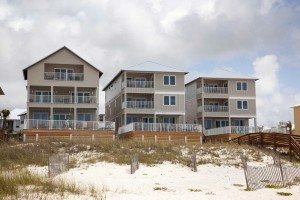 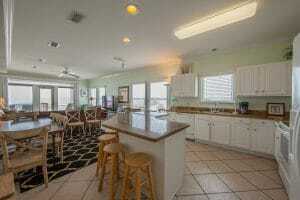 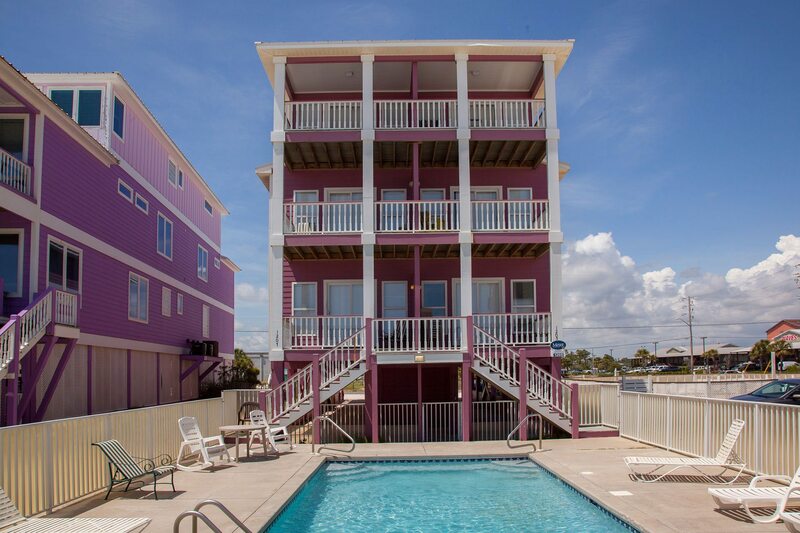 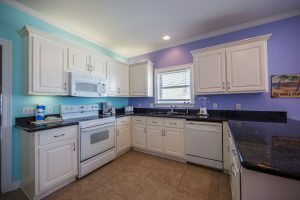 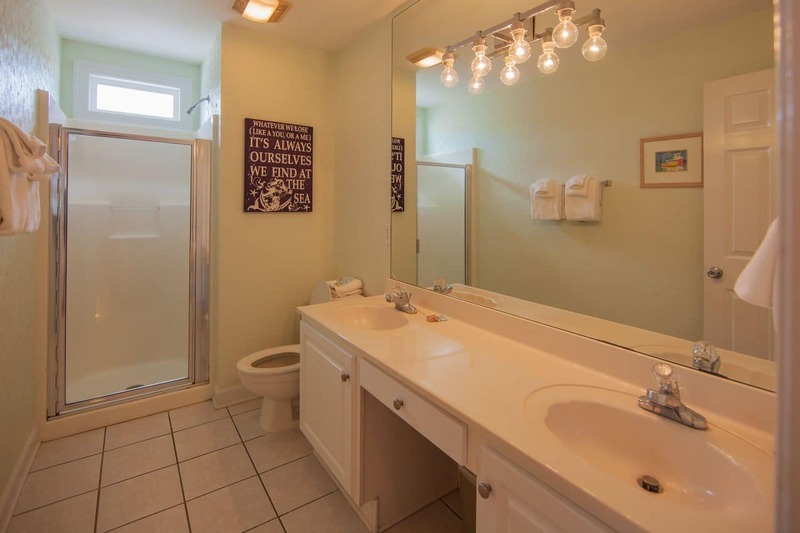 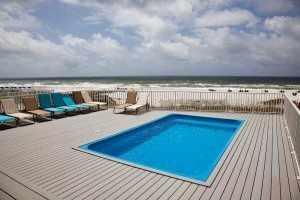 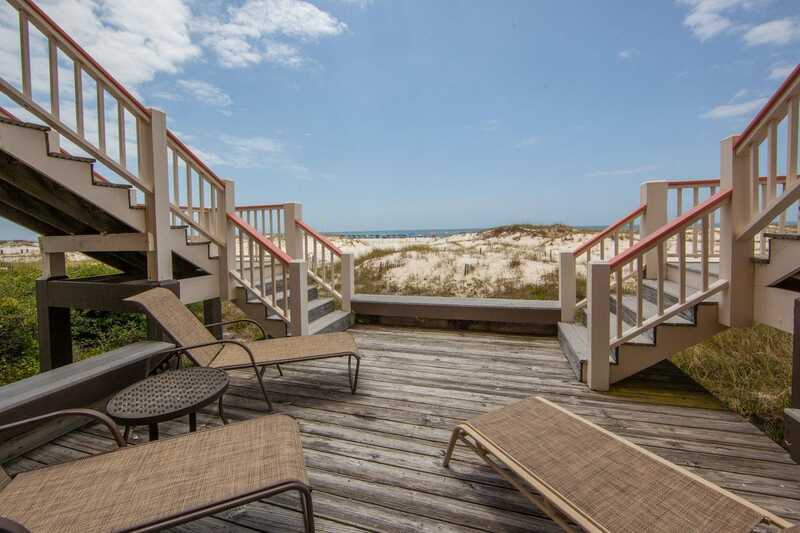 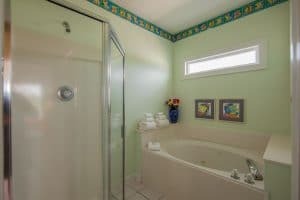 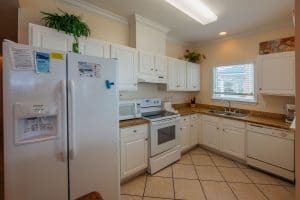 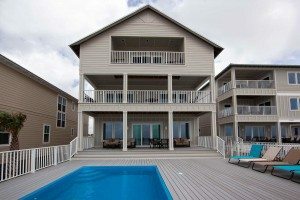 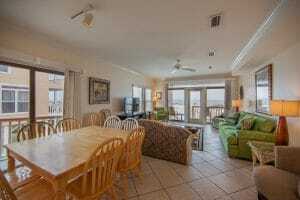 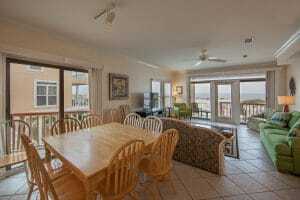 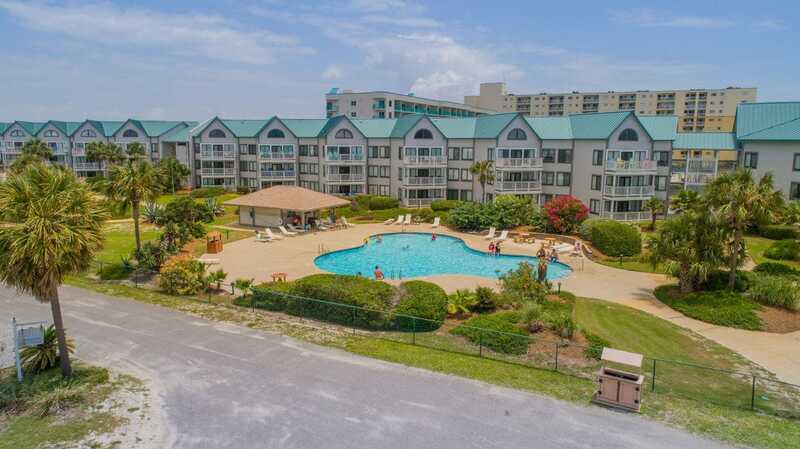 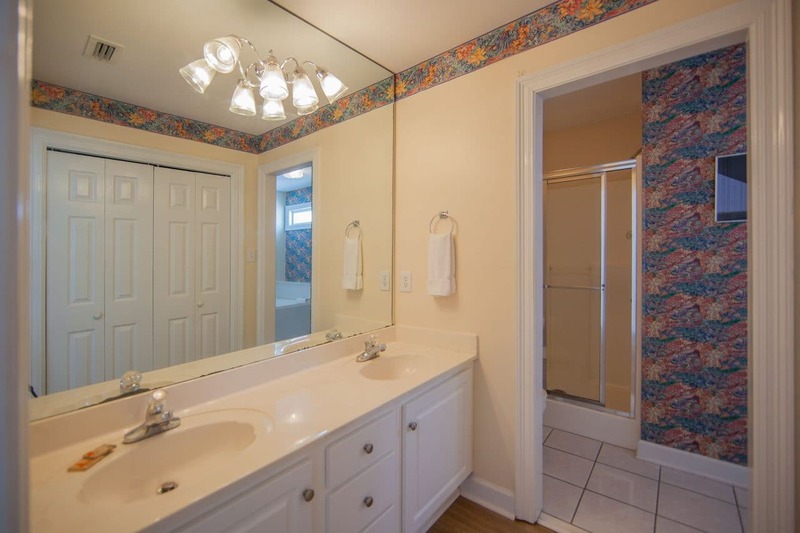 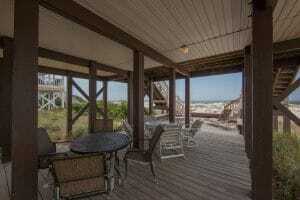 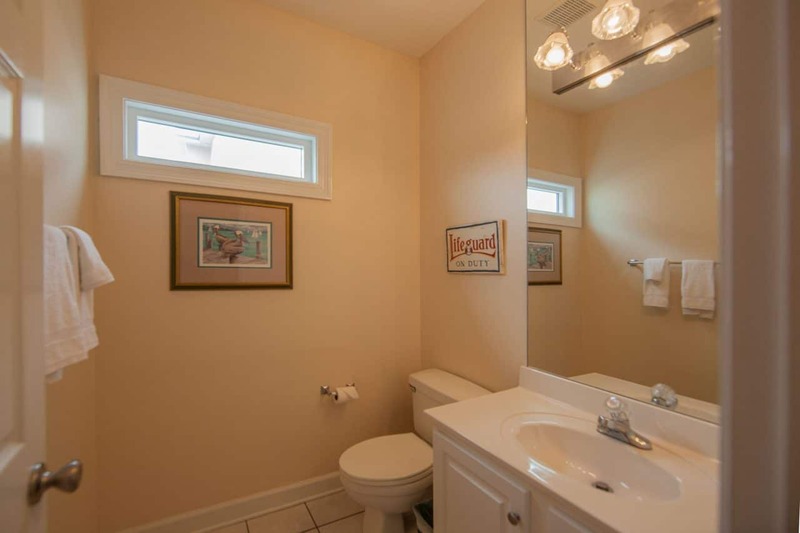 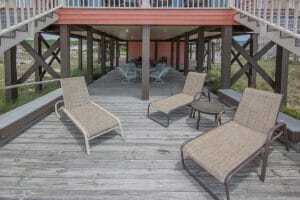 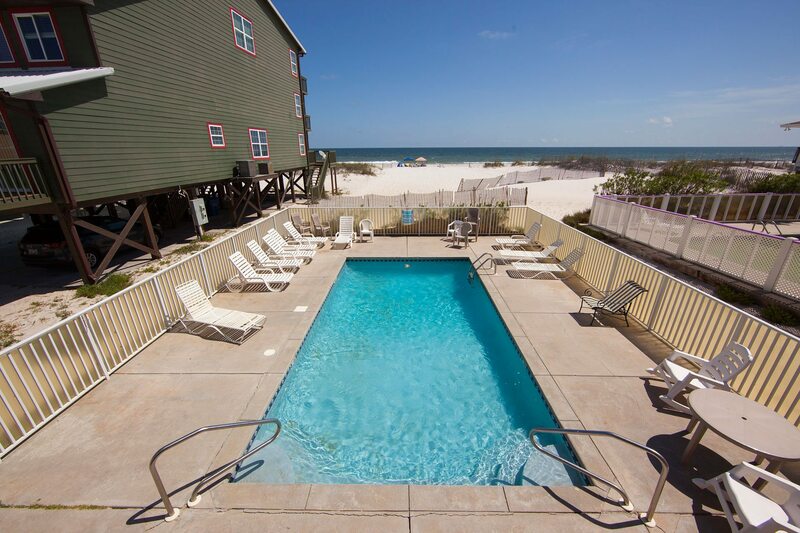 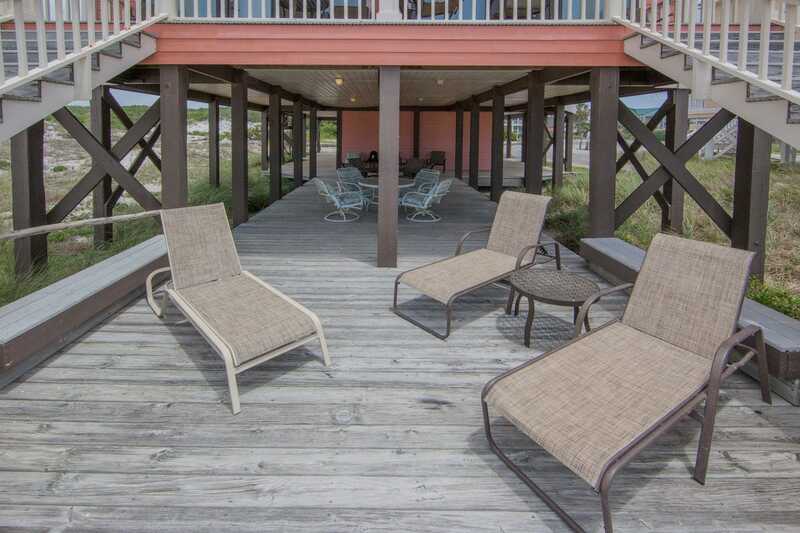 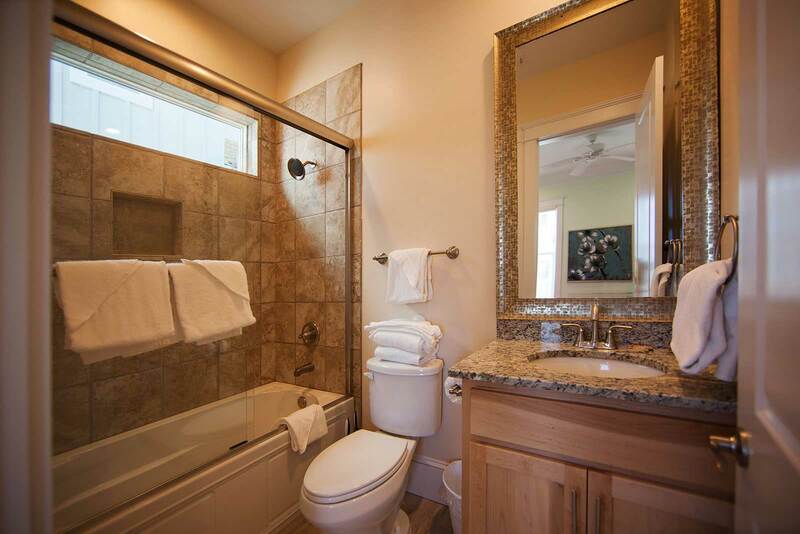 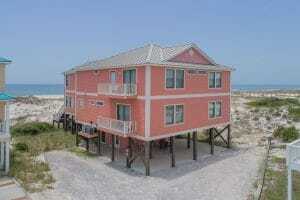 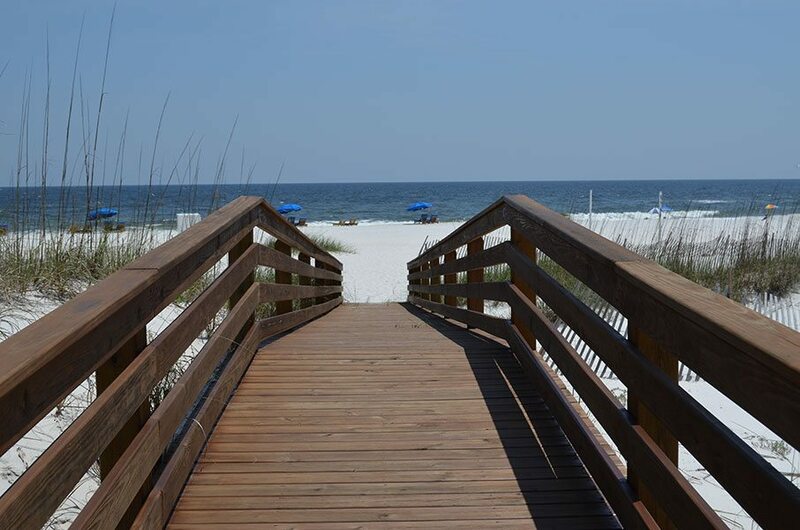 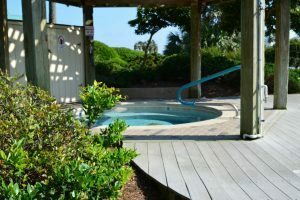 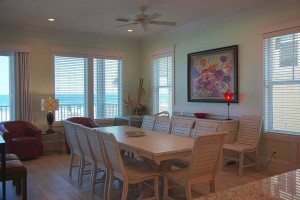 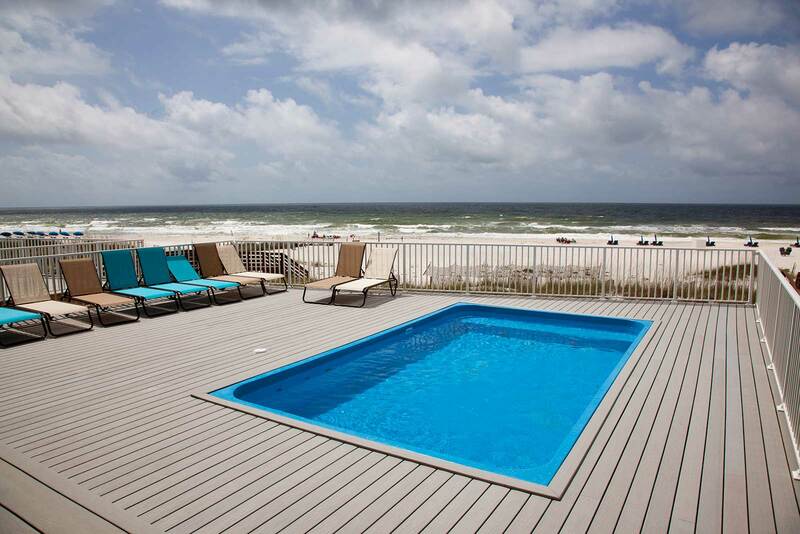 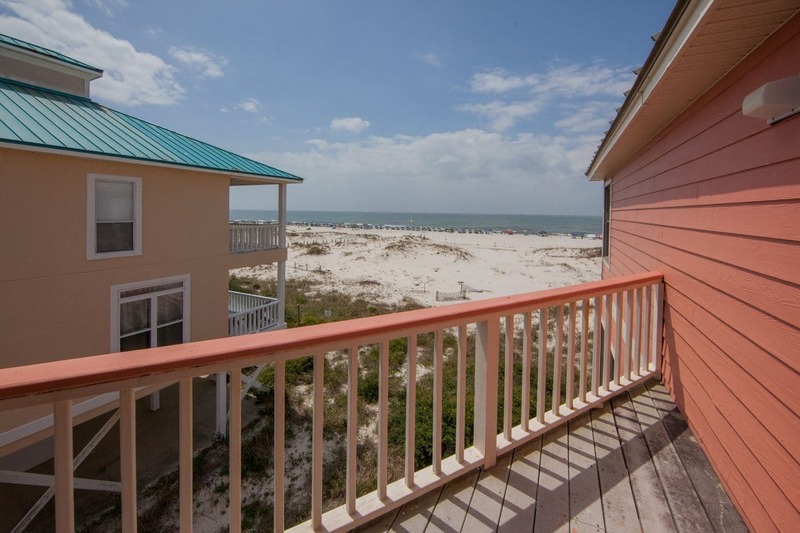 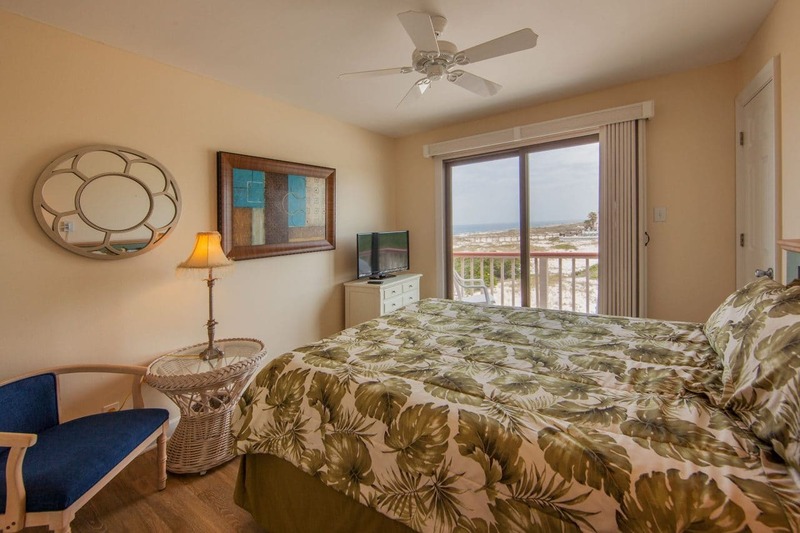 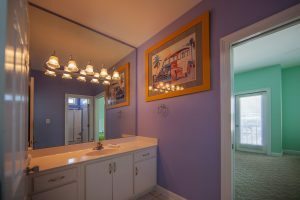 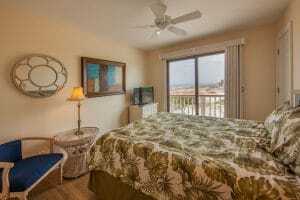 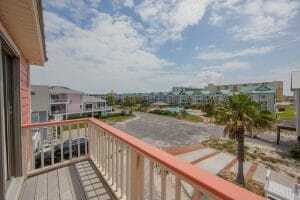 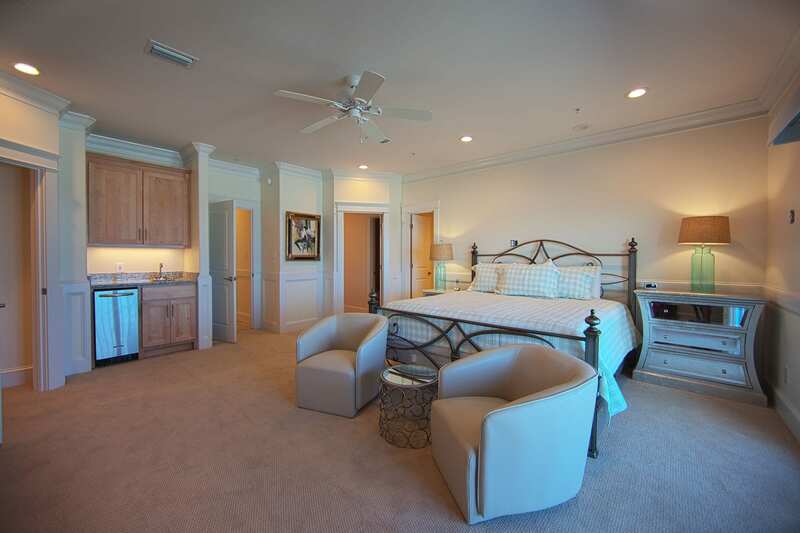 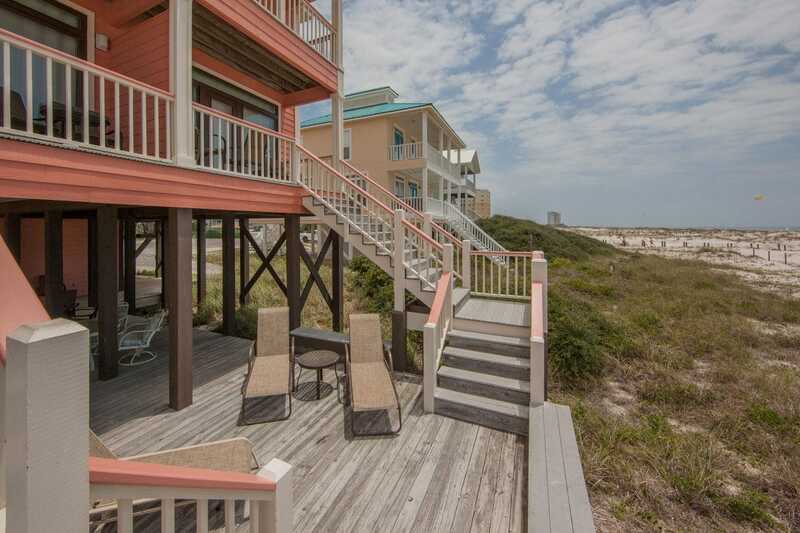 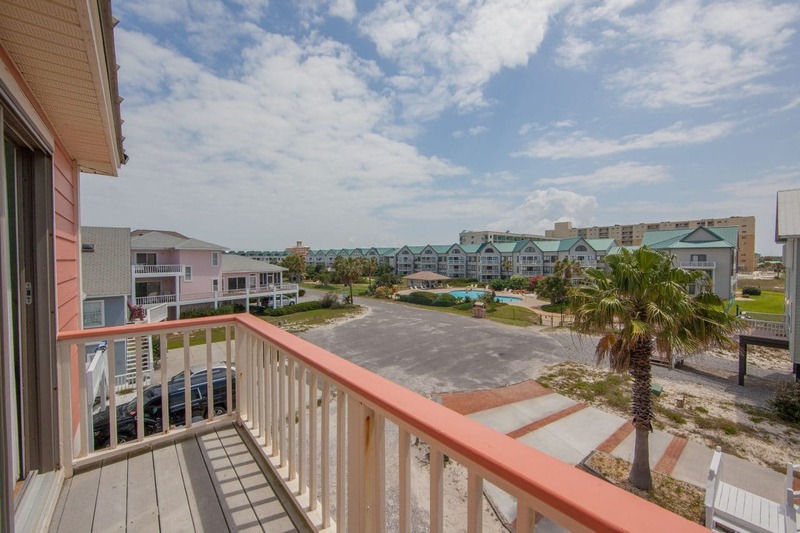 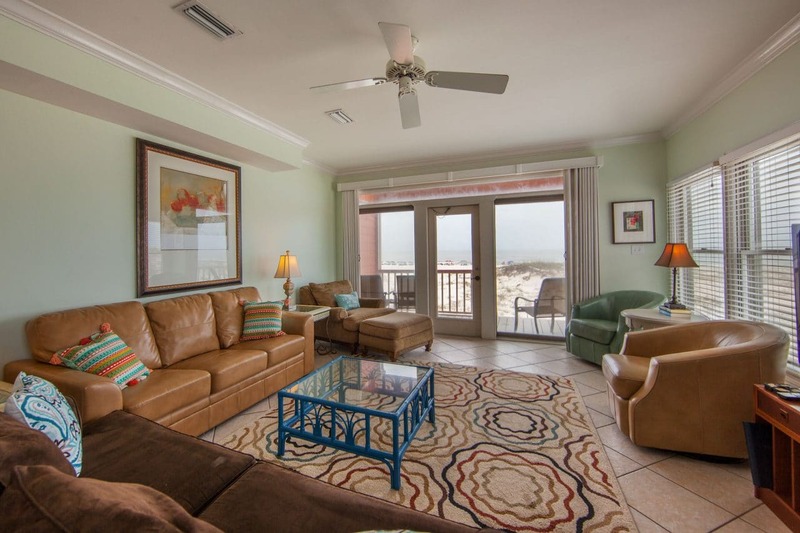 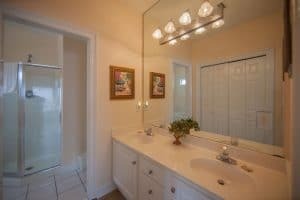 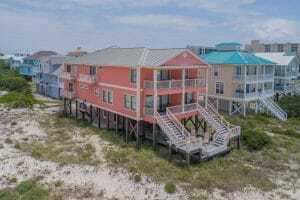 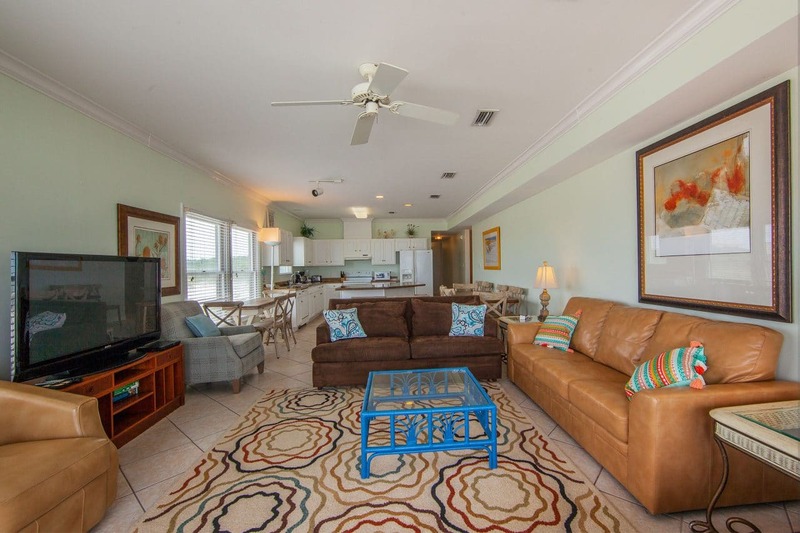 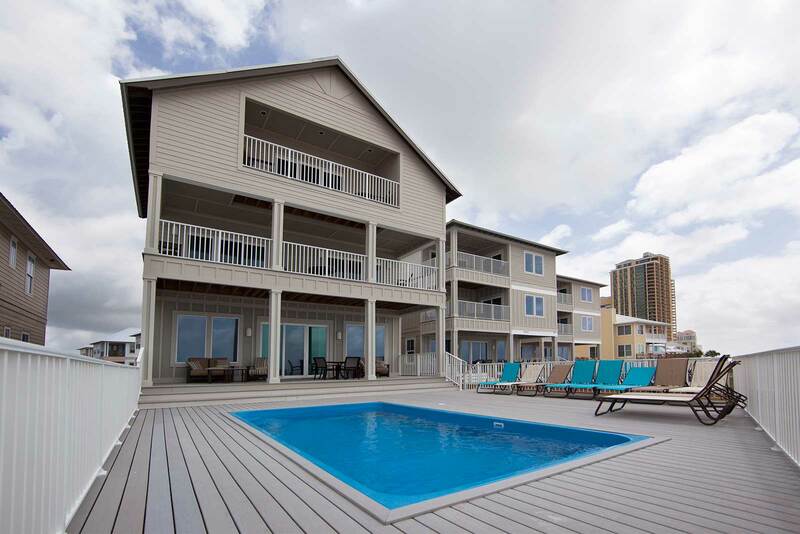 This beautiful duplex is located directly on the beach of the Gulf! 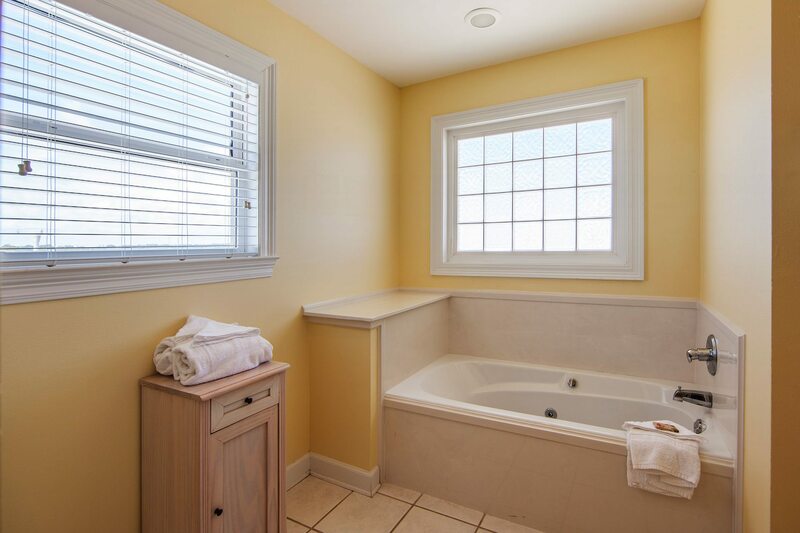 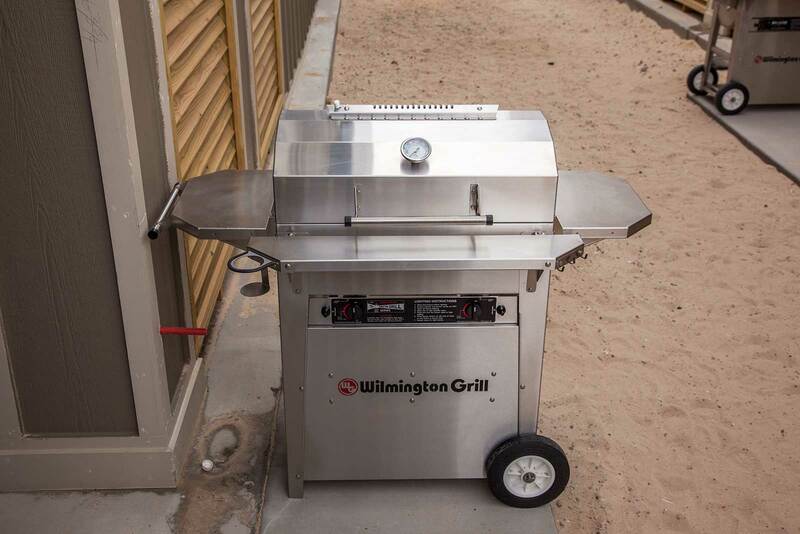 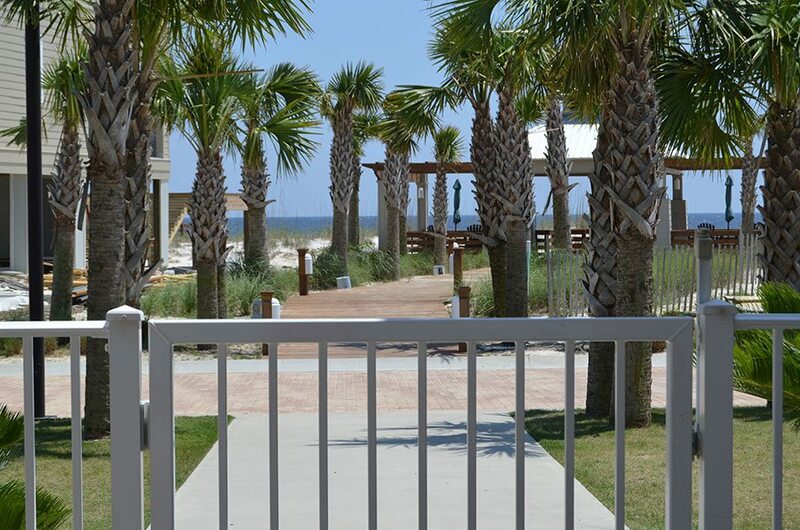 Open the back doors and enjoy sun, surf, and sand!